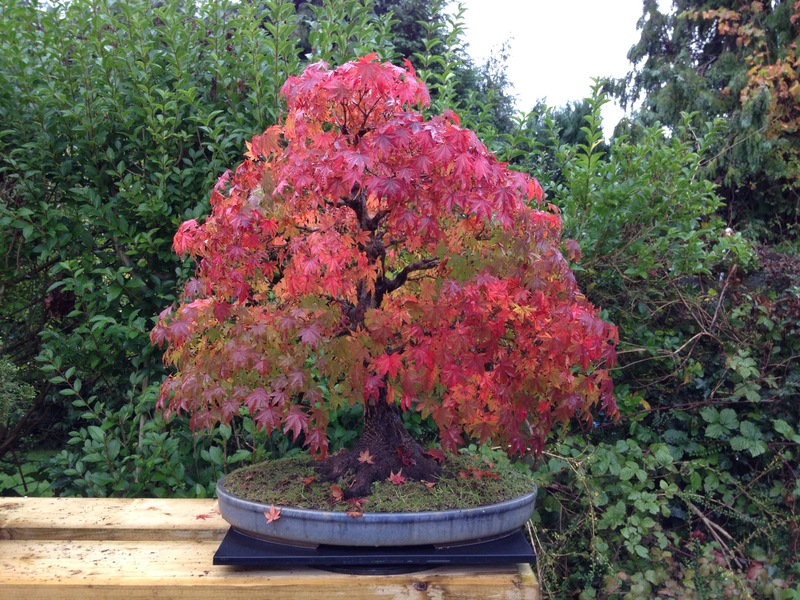 With autumn colours starting to make way to winter images. 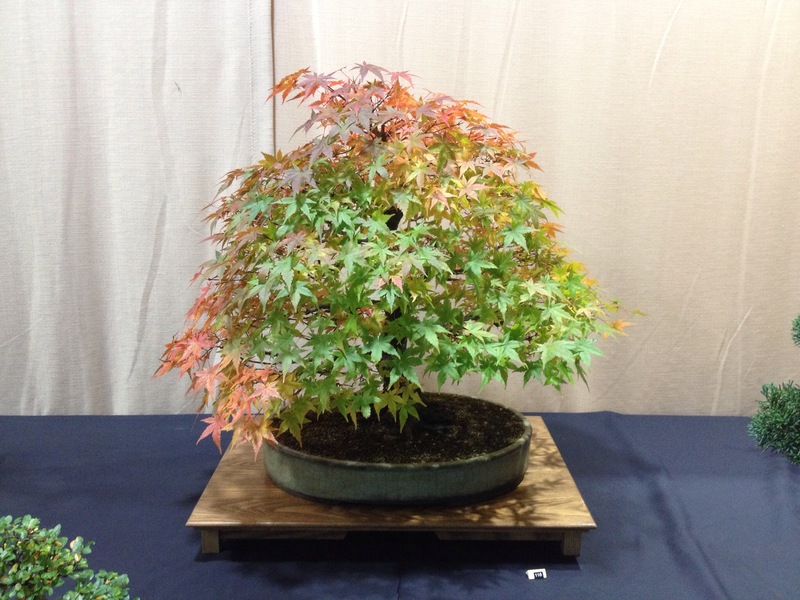 This maple still has a good coat on. 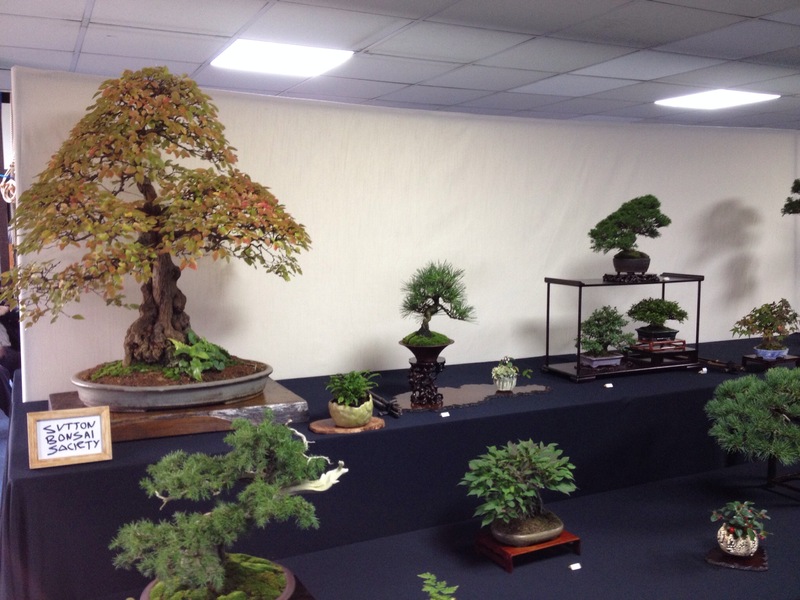 This was a great, great show not organised by a club or a huge national committee, but a dedicated pair of enthusiastic hobbyist in the form of Mark & Ming. 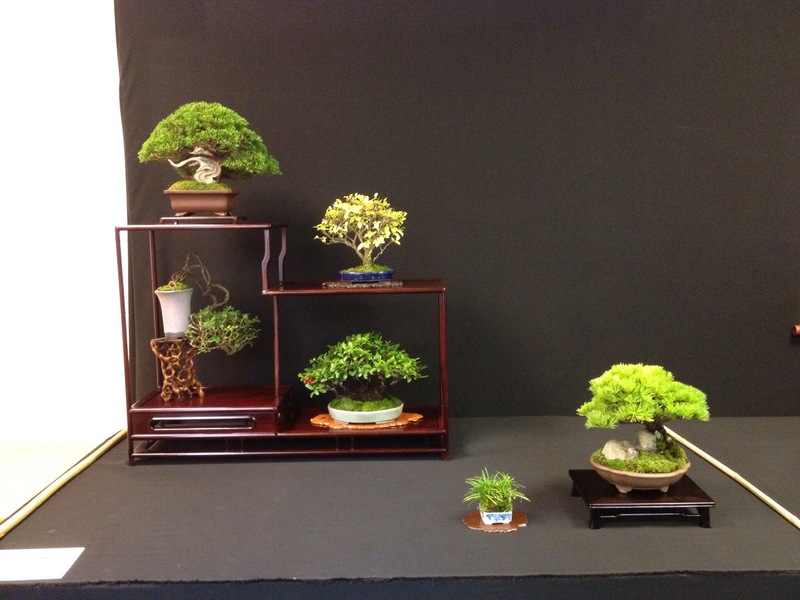 Self financed and aided by a loyal team of helpers. 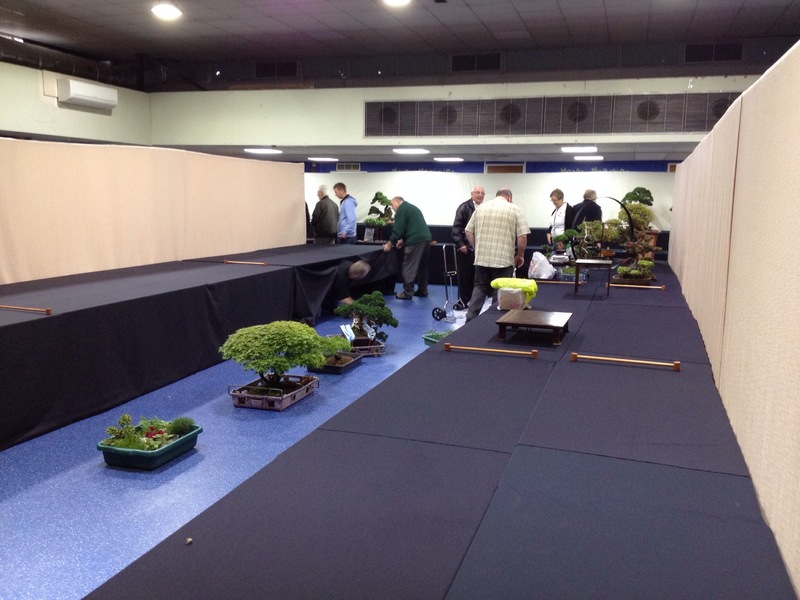 Great new venue, but same superb catering with breakfast and lunch given to exhibitors which all appreciated so much. 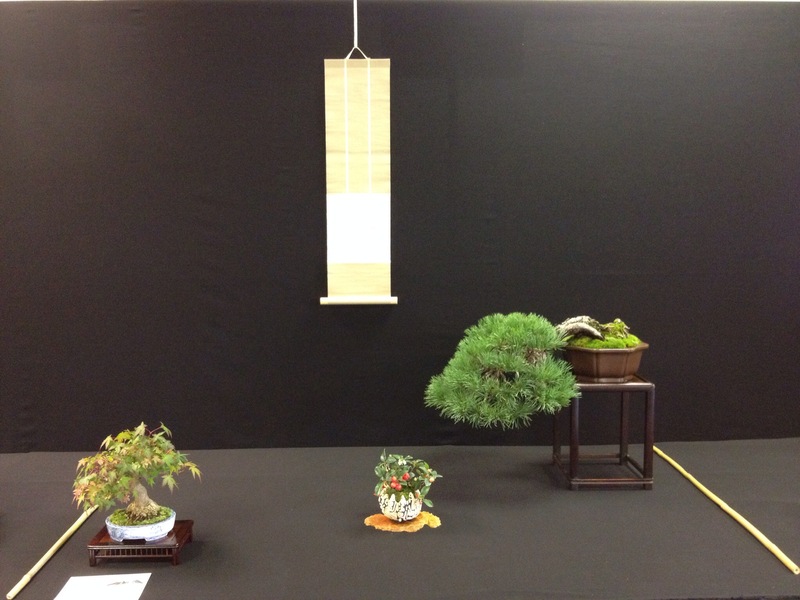 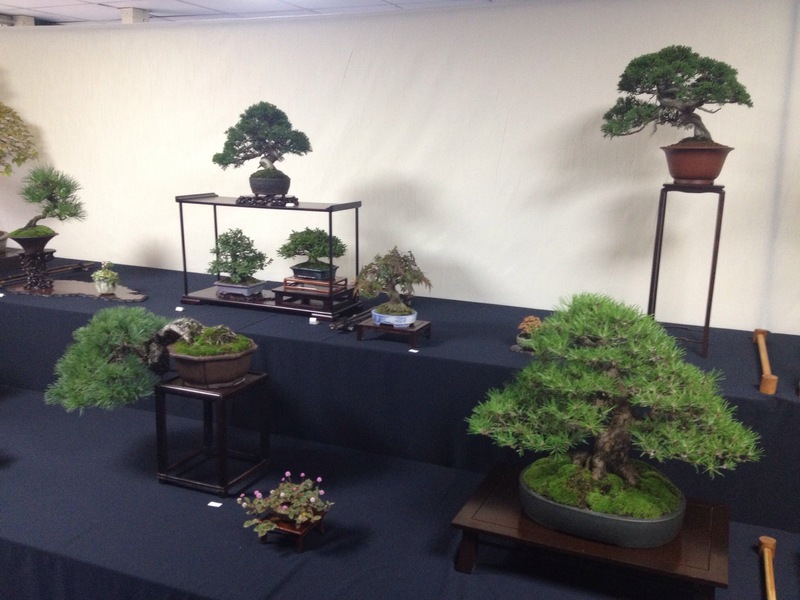 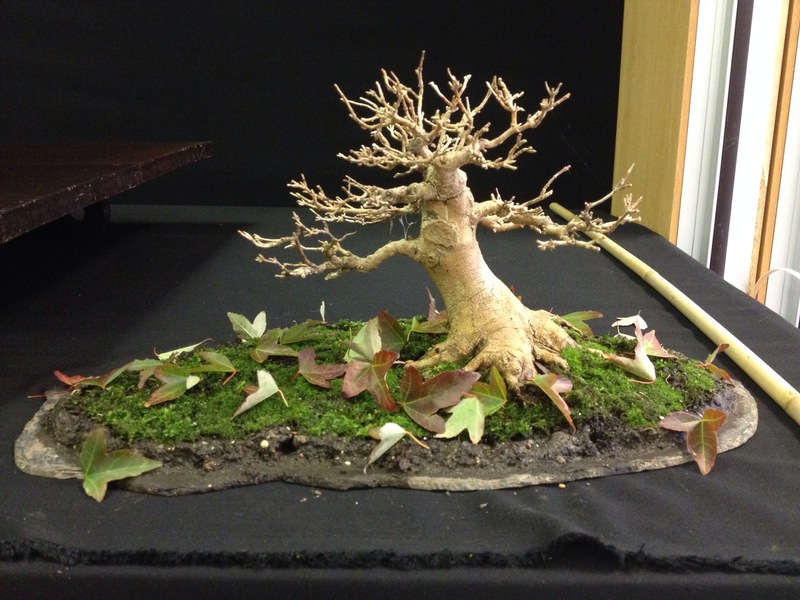 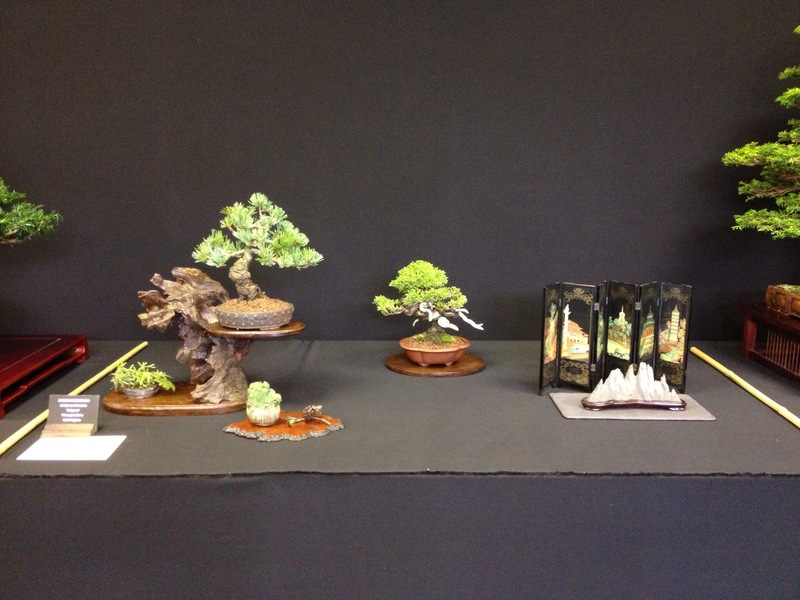 18 club and group displays showed the diverse way in which trees are displayed. 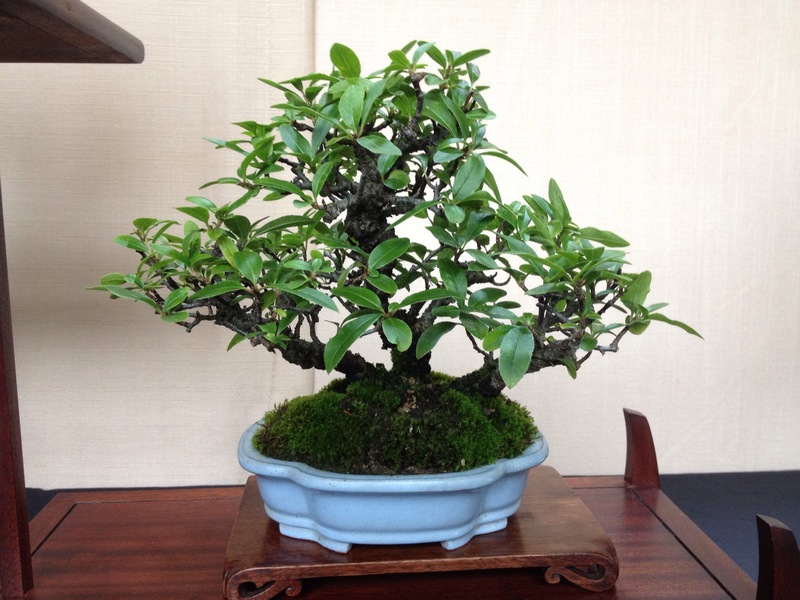 O and I purchased a new pot! 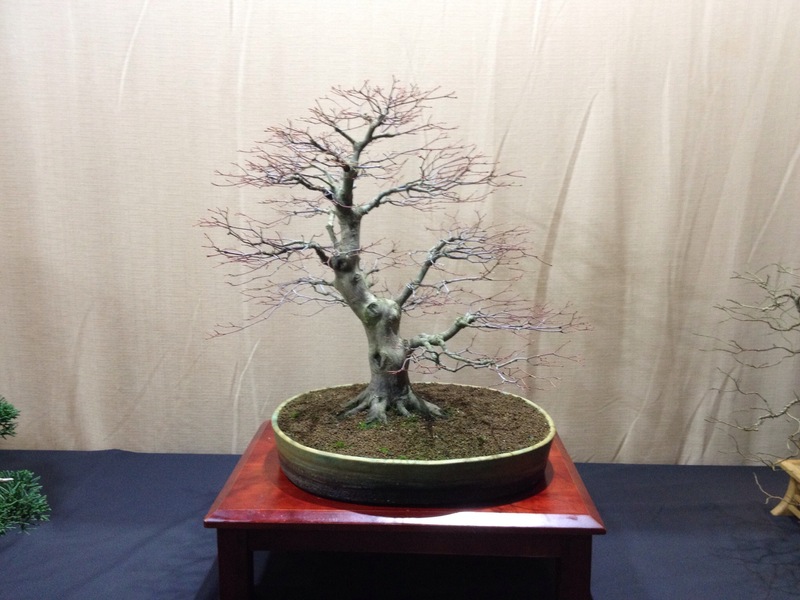 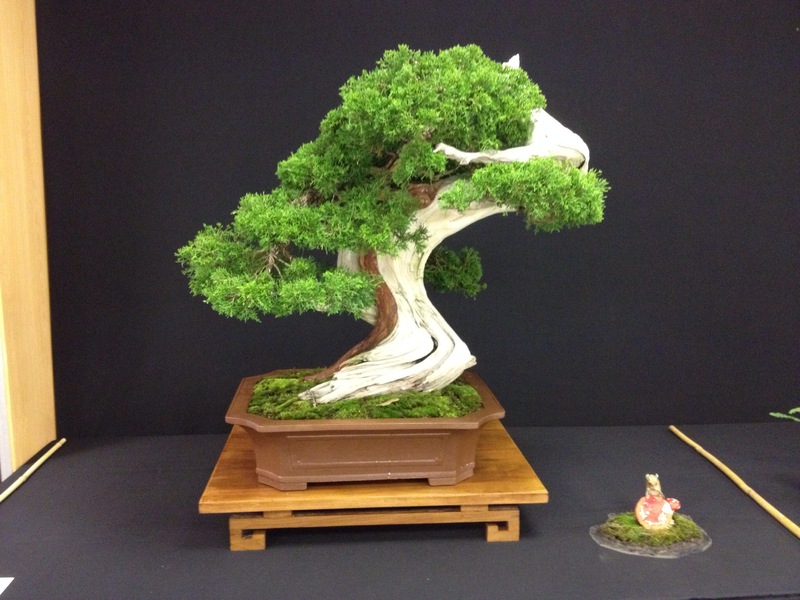 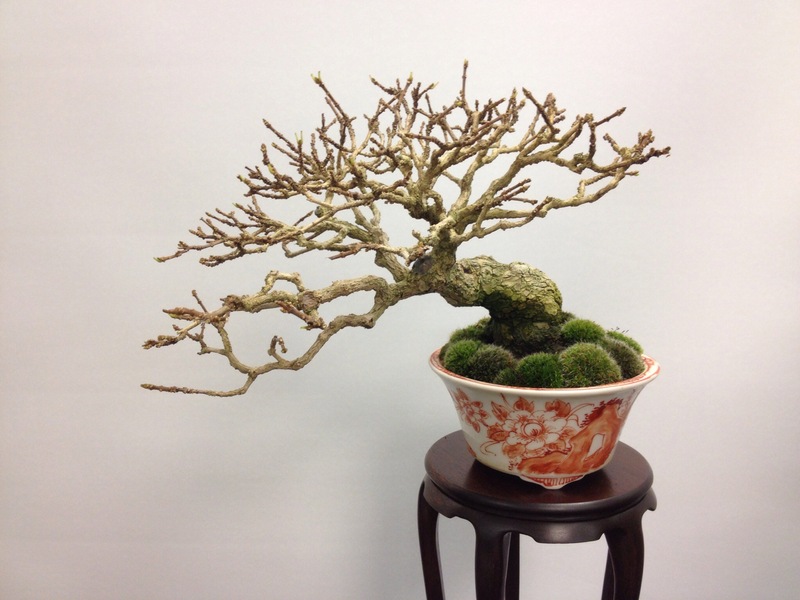 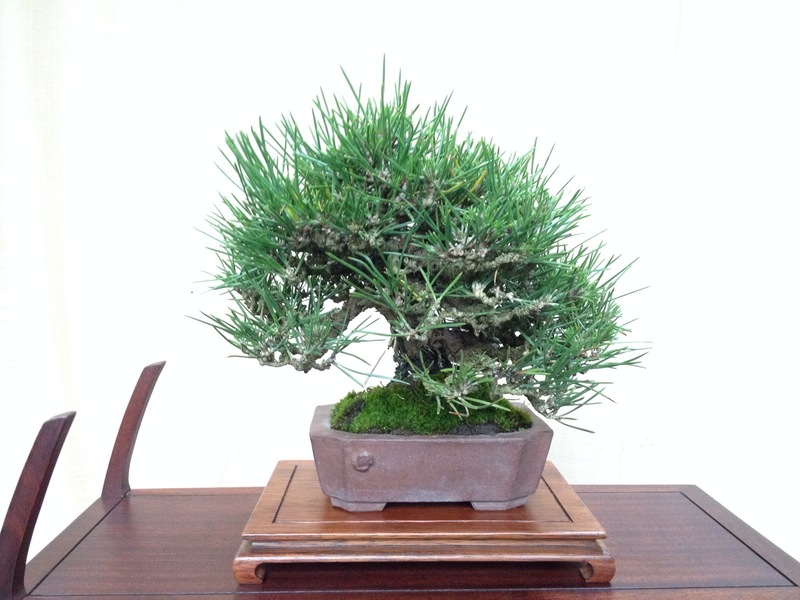 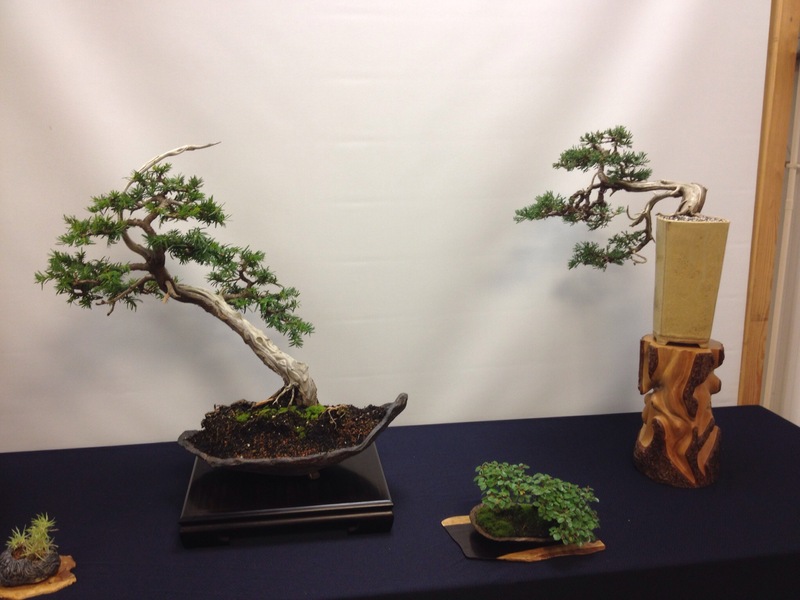 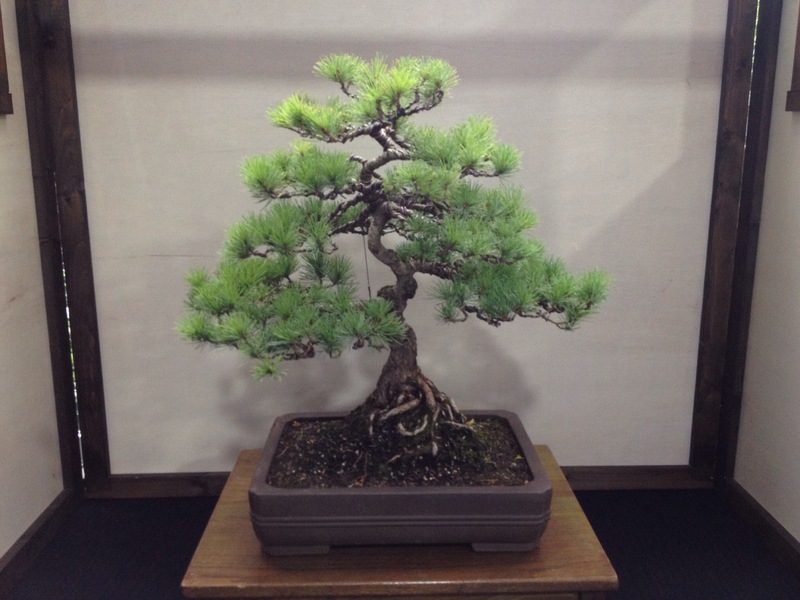 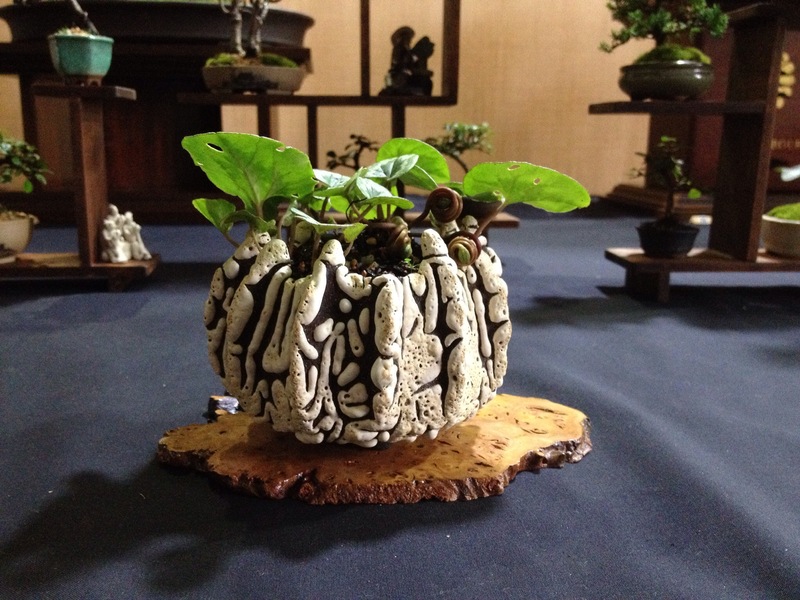 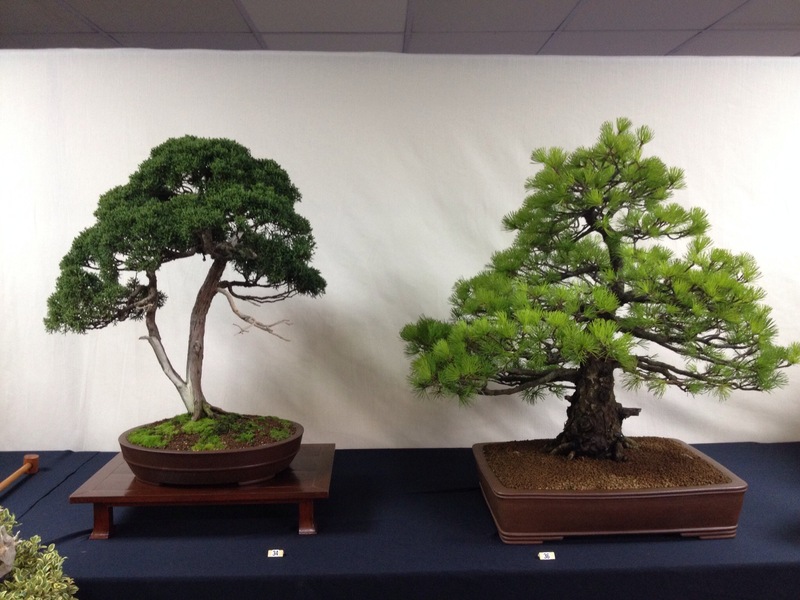 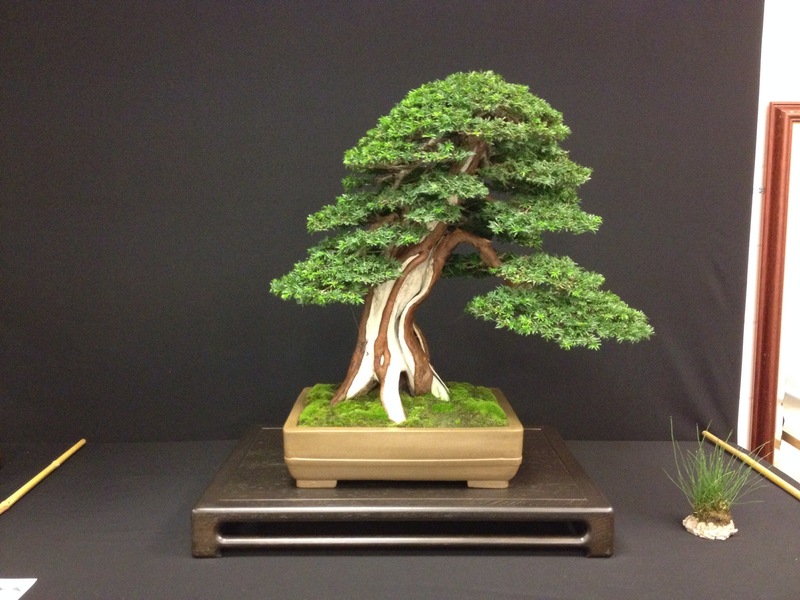 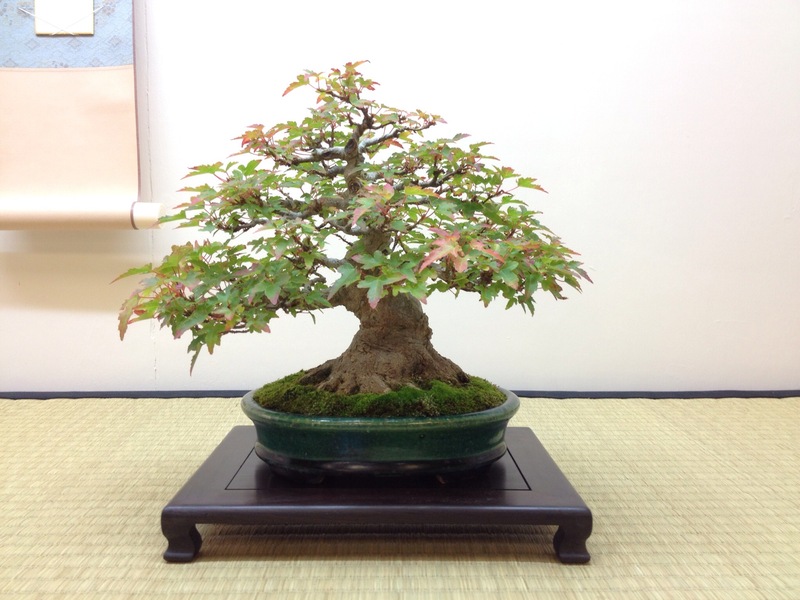 Link to some more pictures of the Shohin trees. 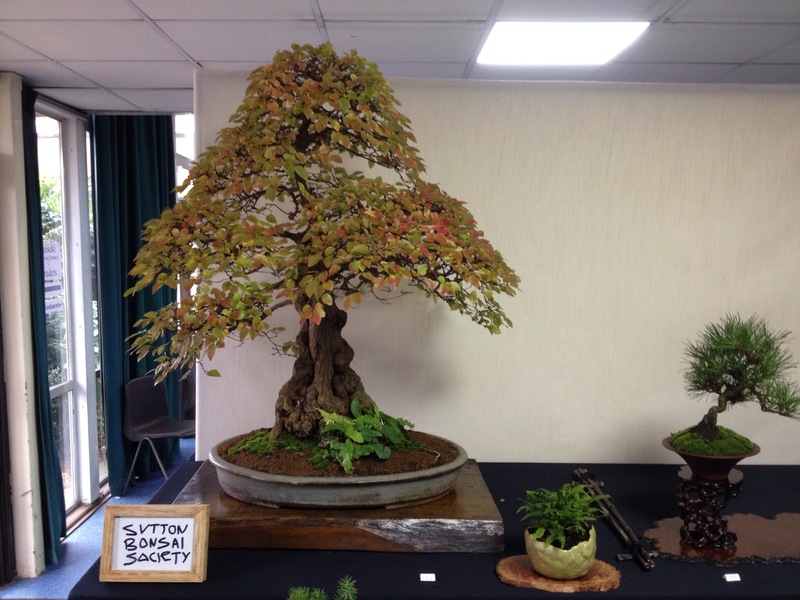 Very good video from the Saulieu show. 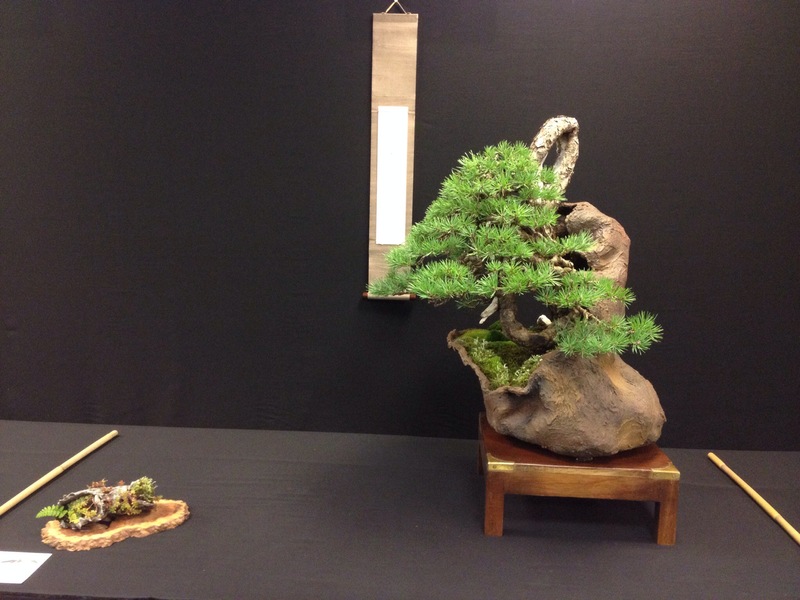 Nice to see an exhibit all in one makers pots. 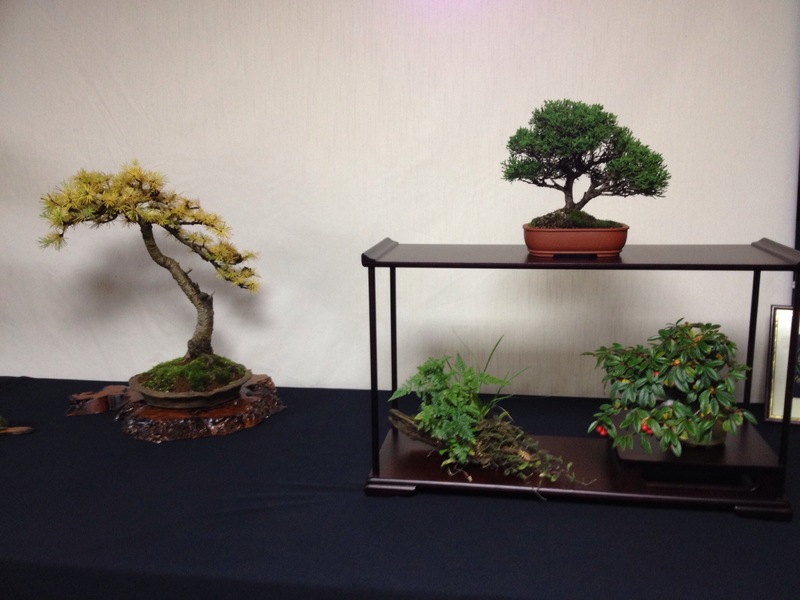 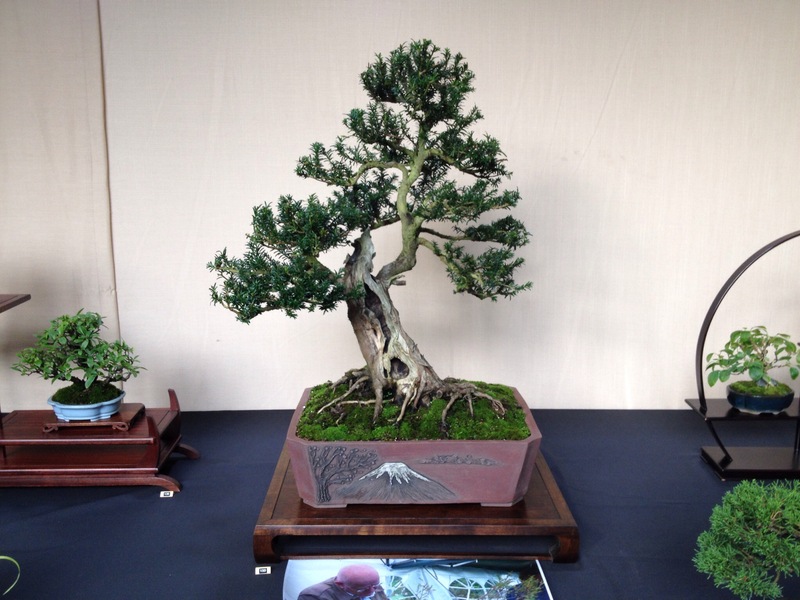 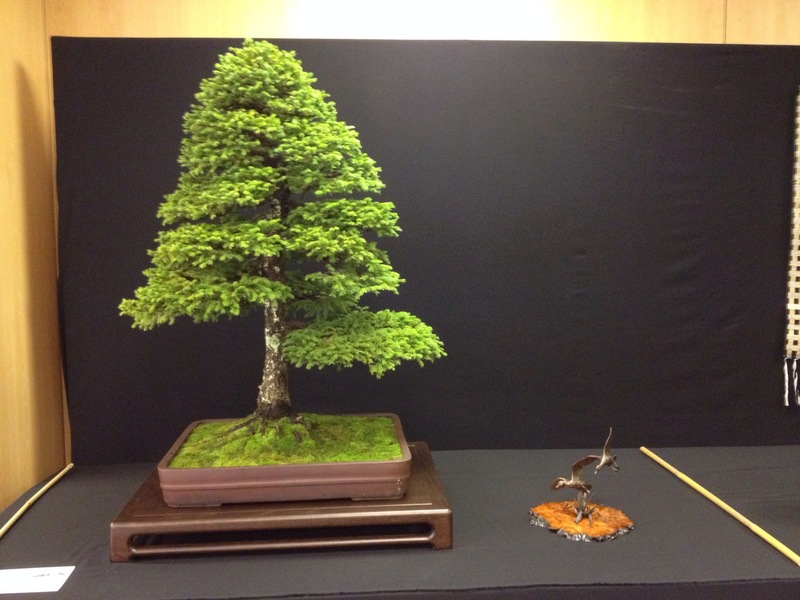 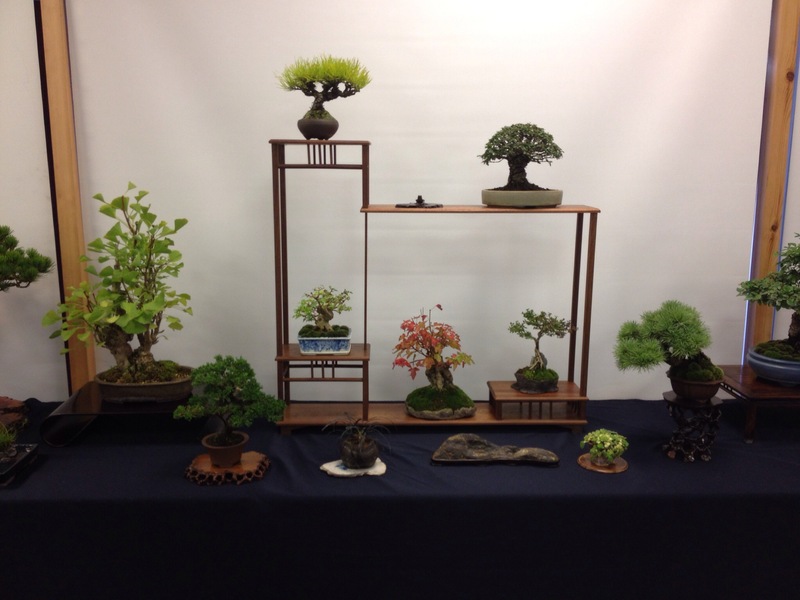 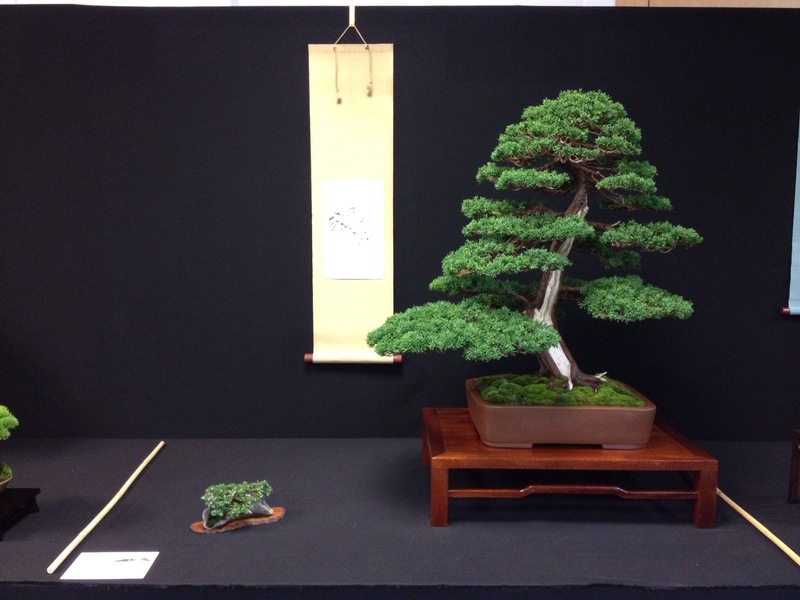 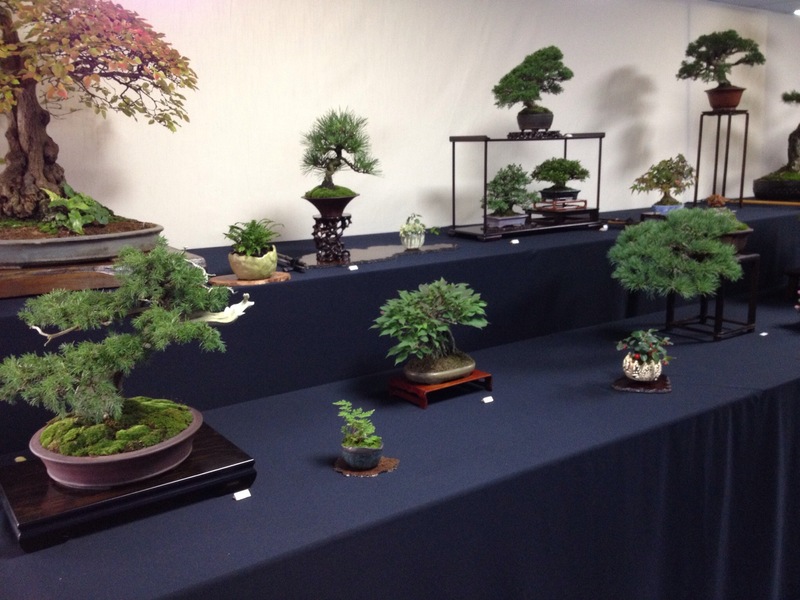 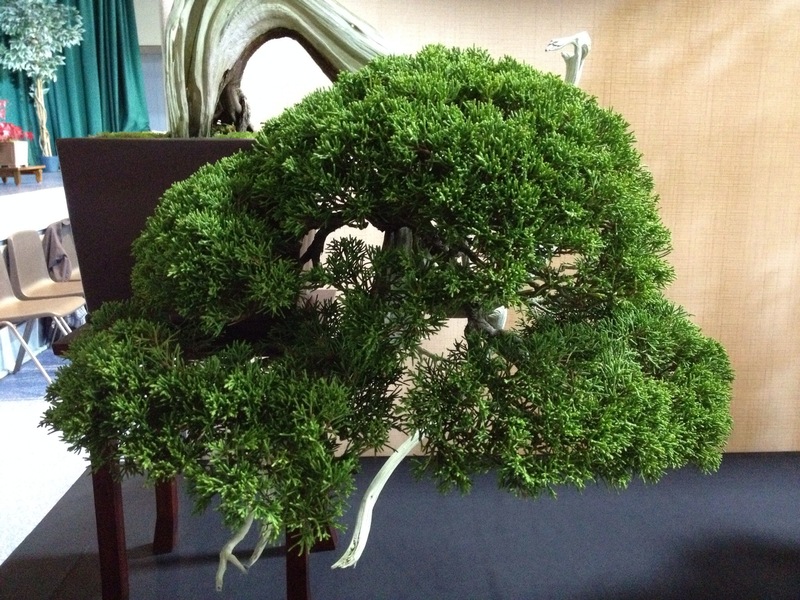 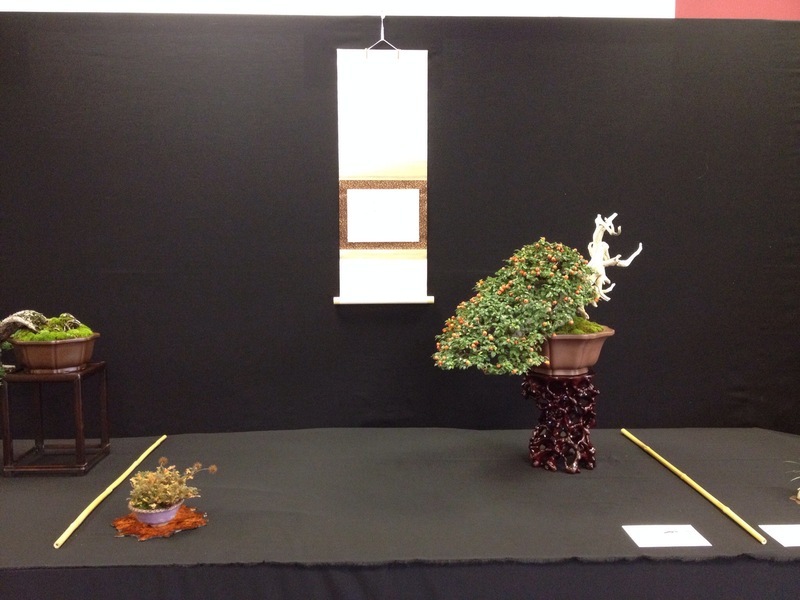 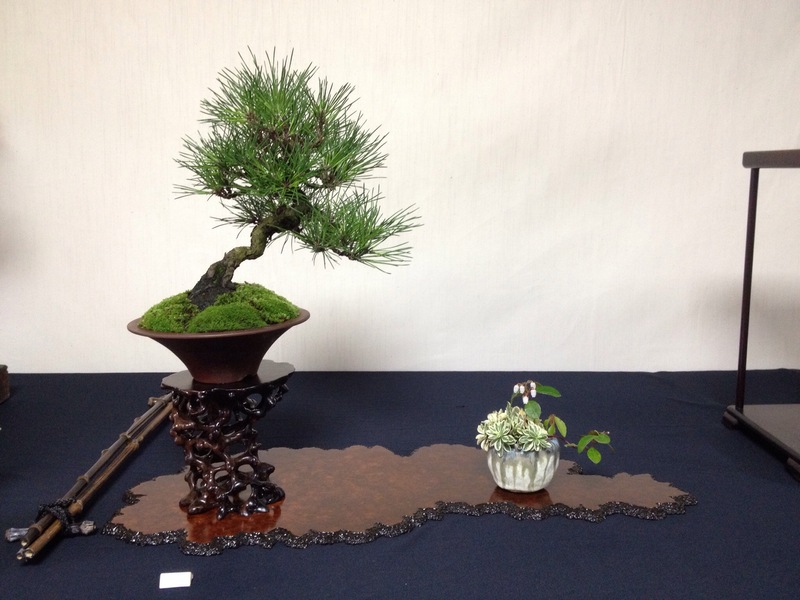 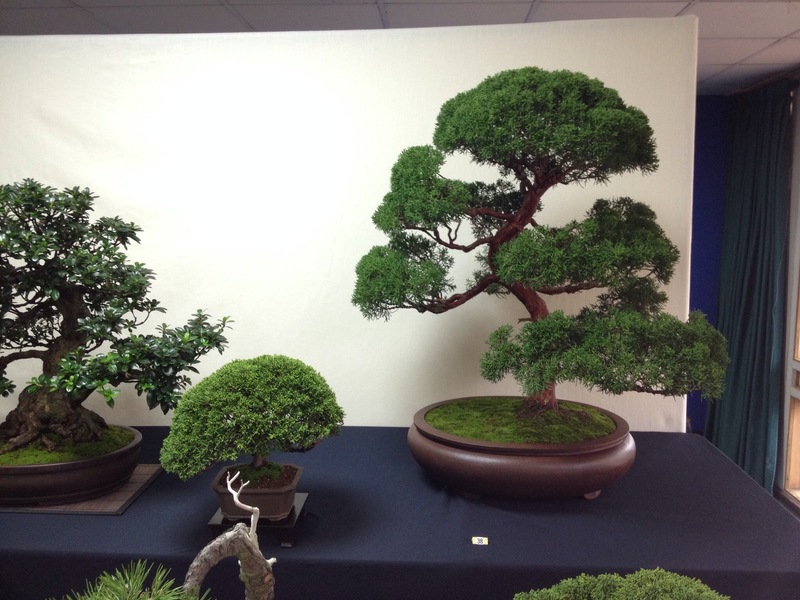 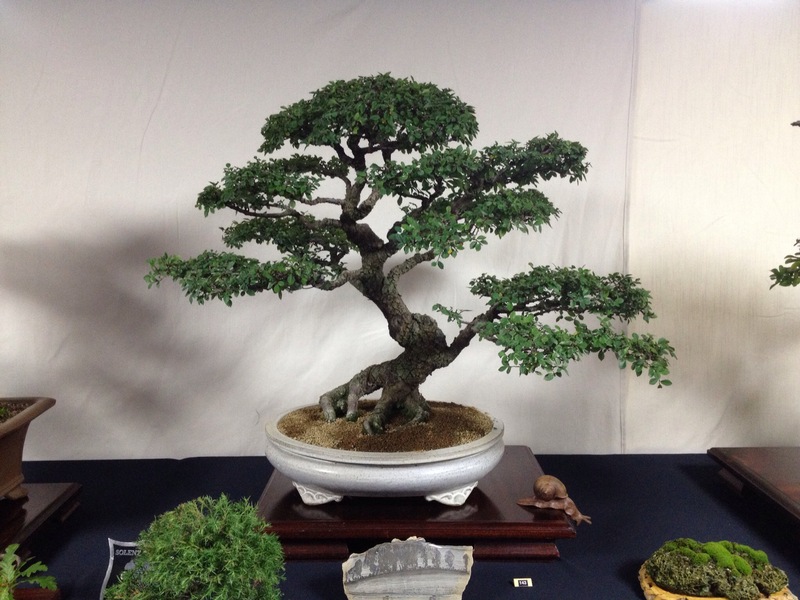 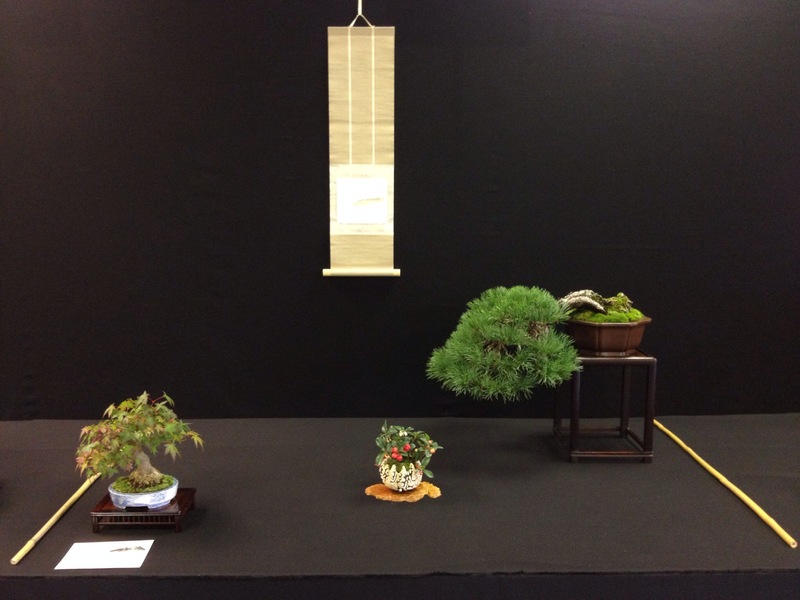 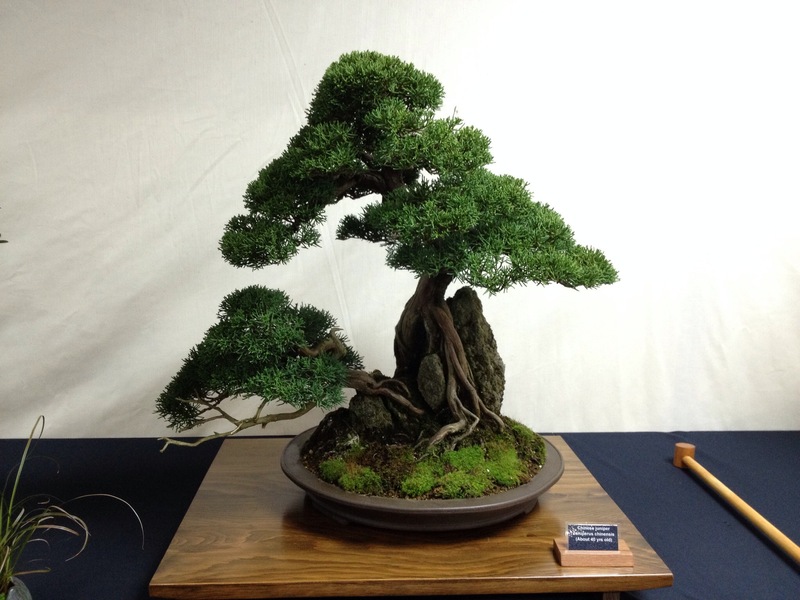 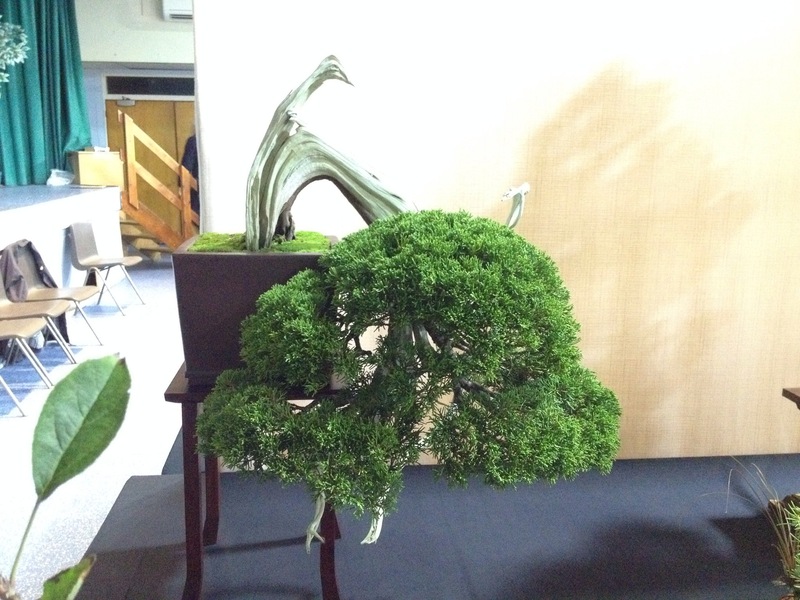 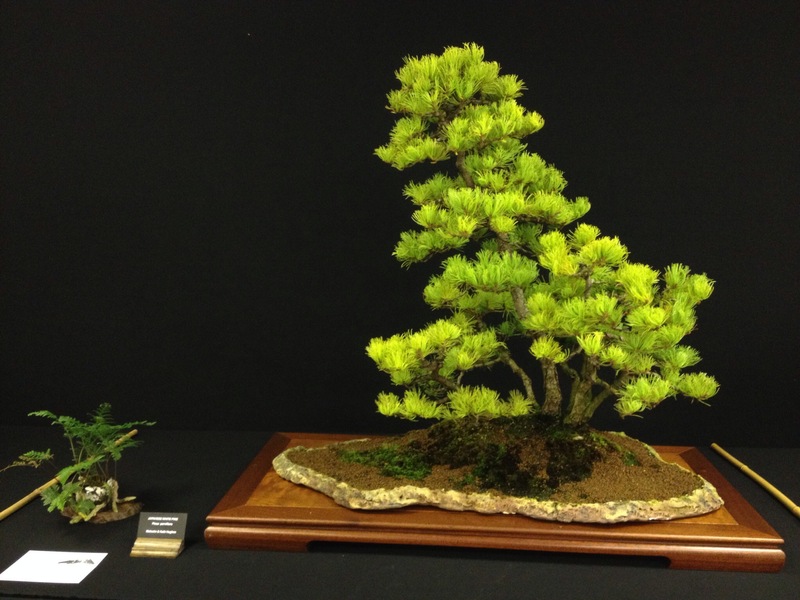 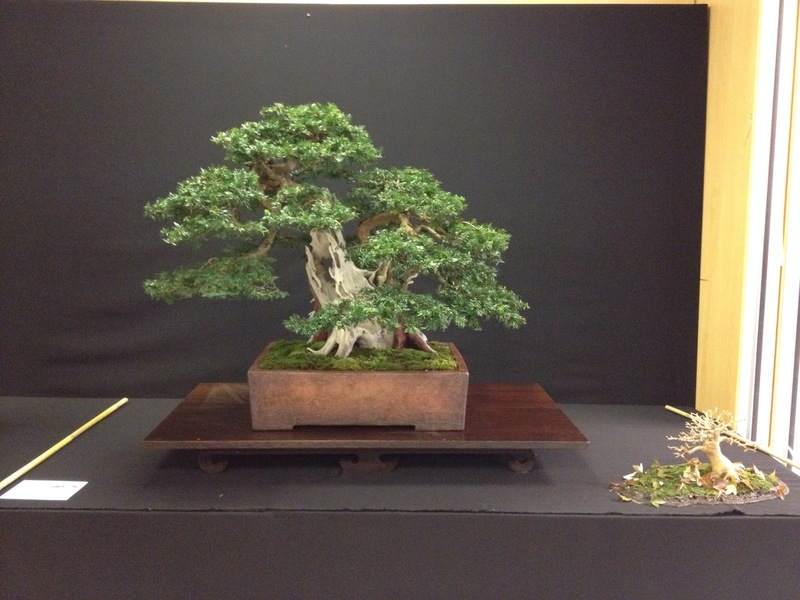 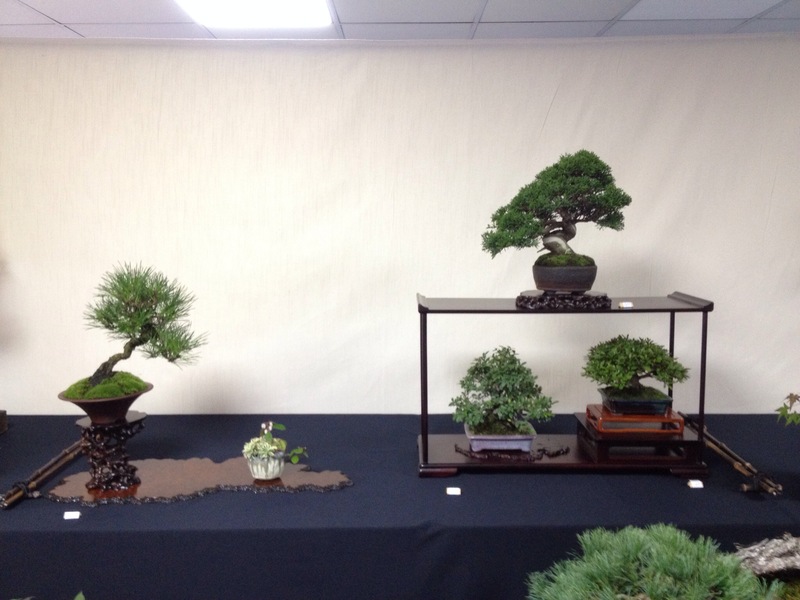 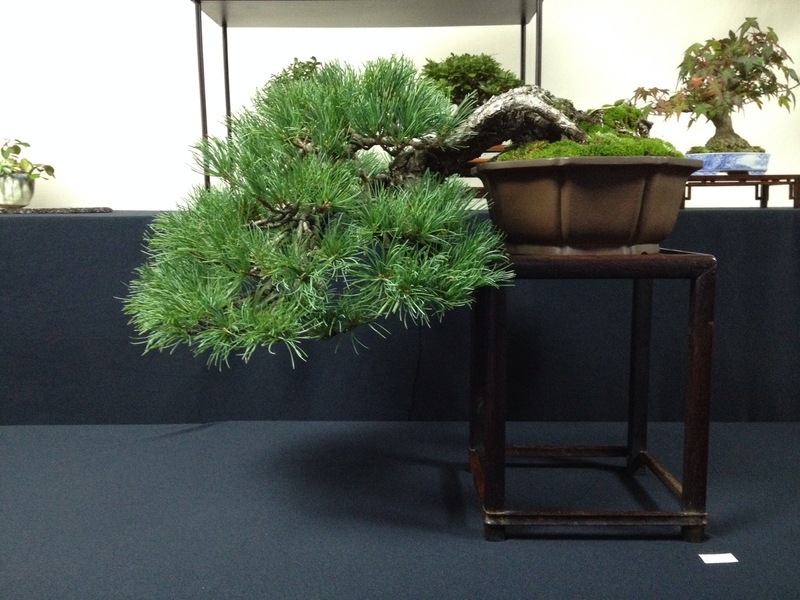 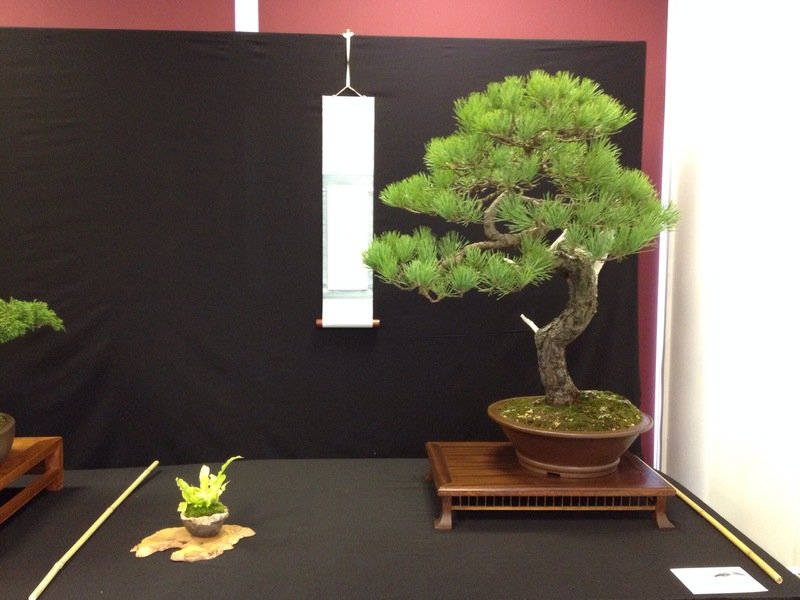 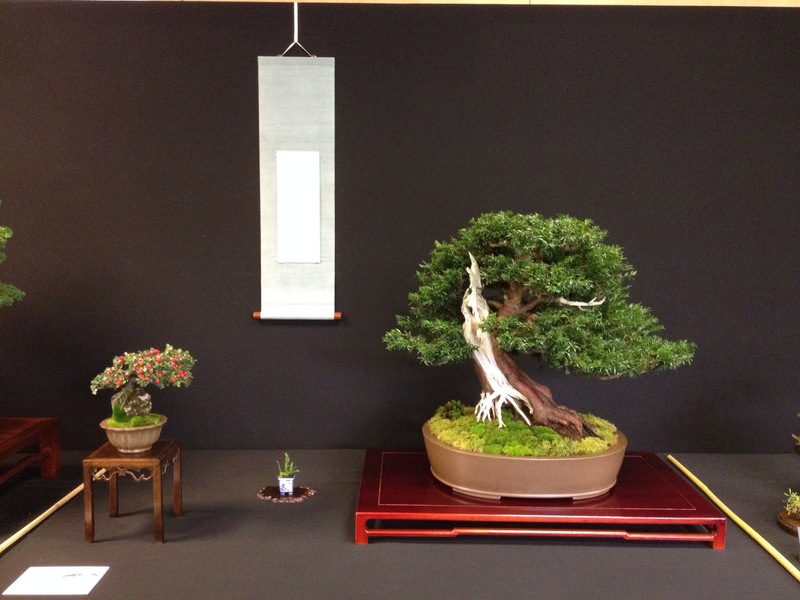 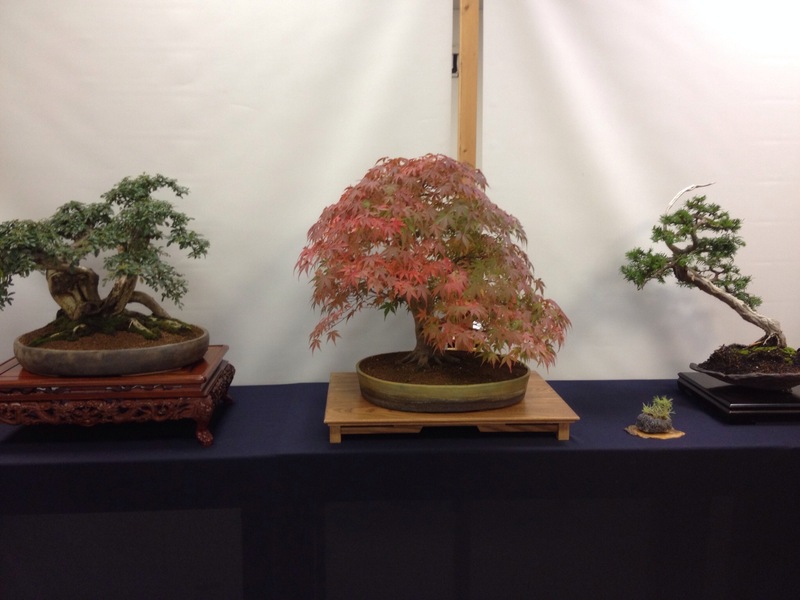 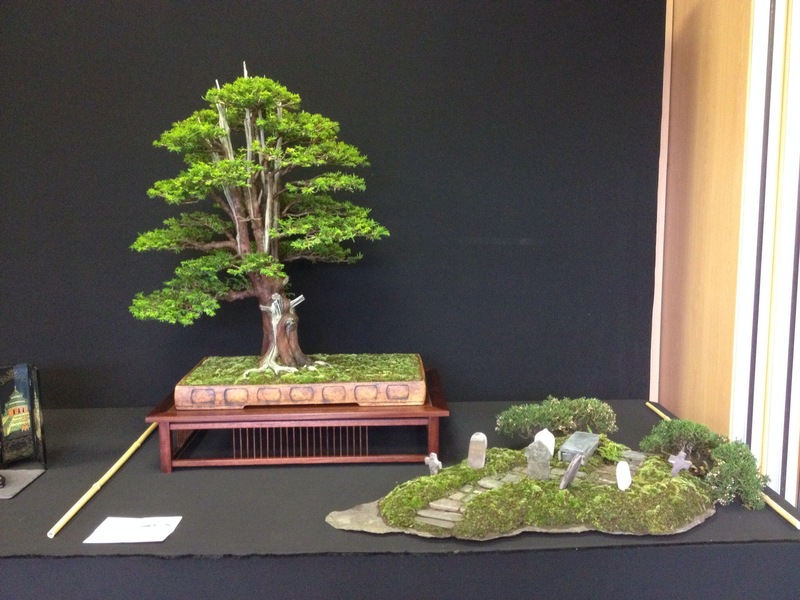 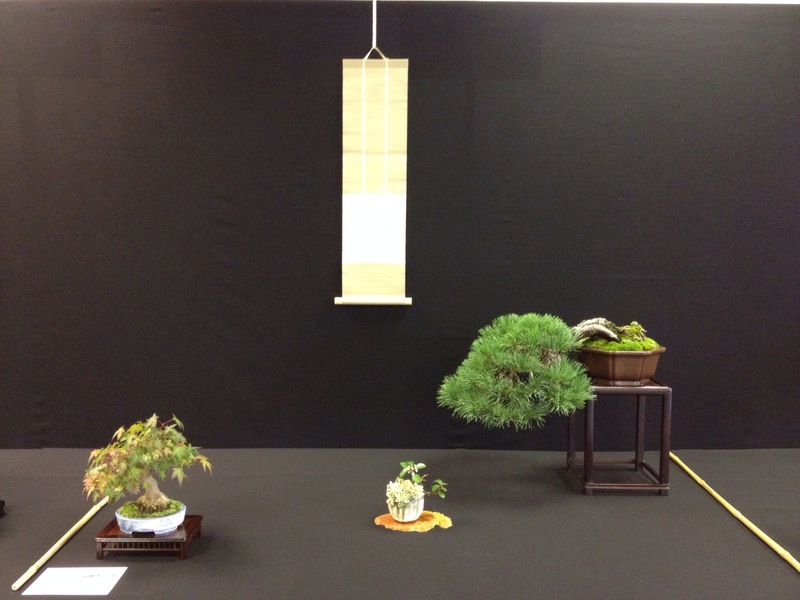 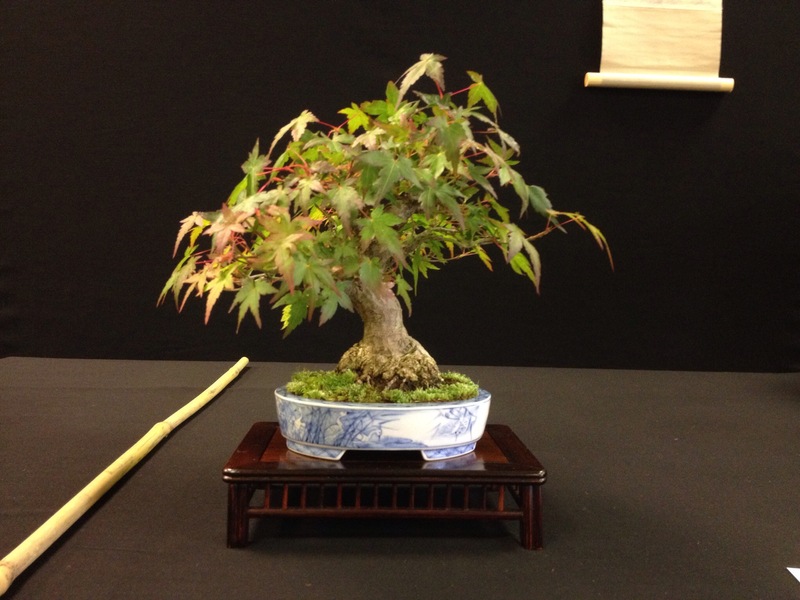 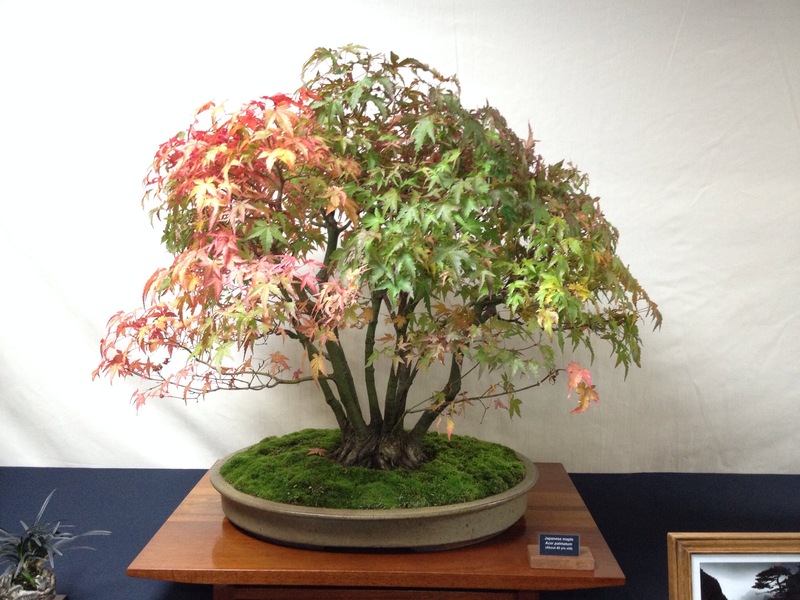 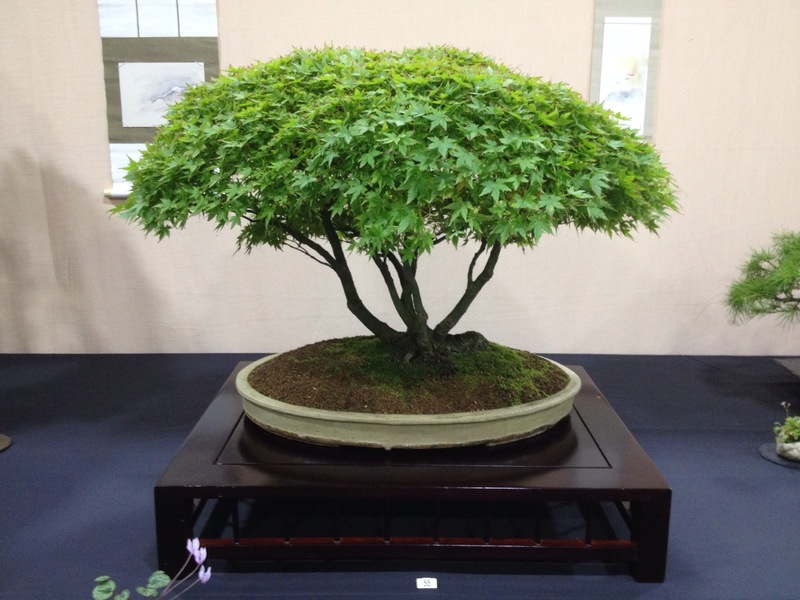 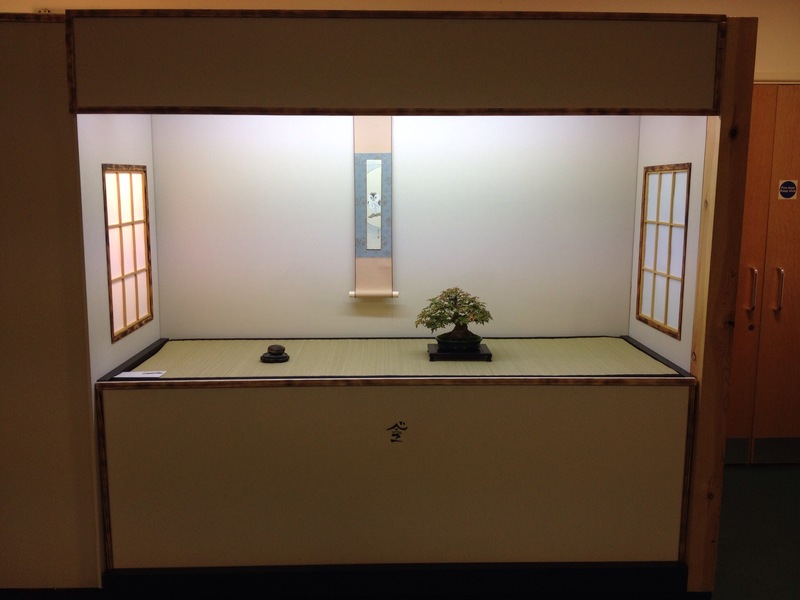 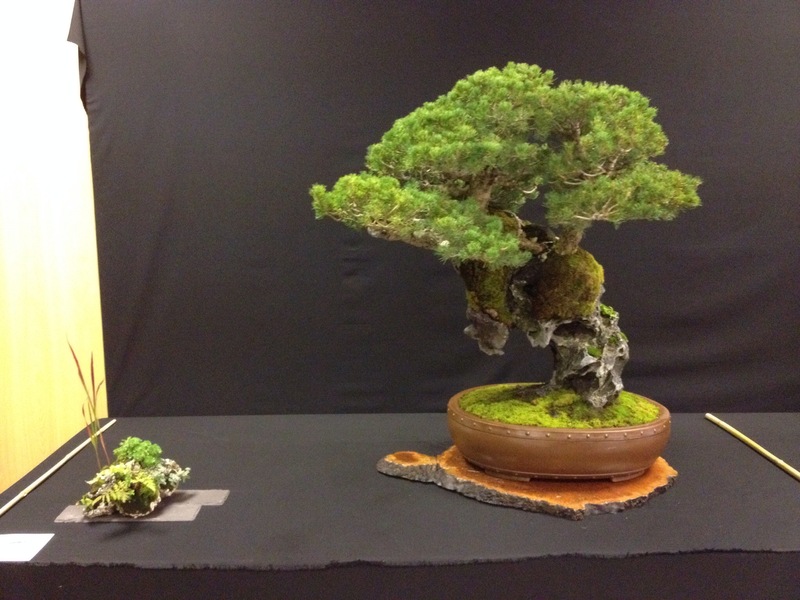 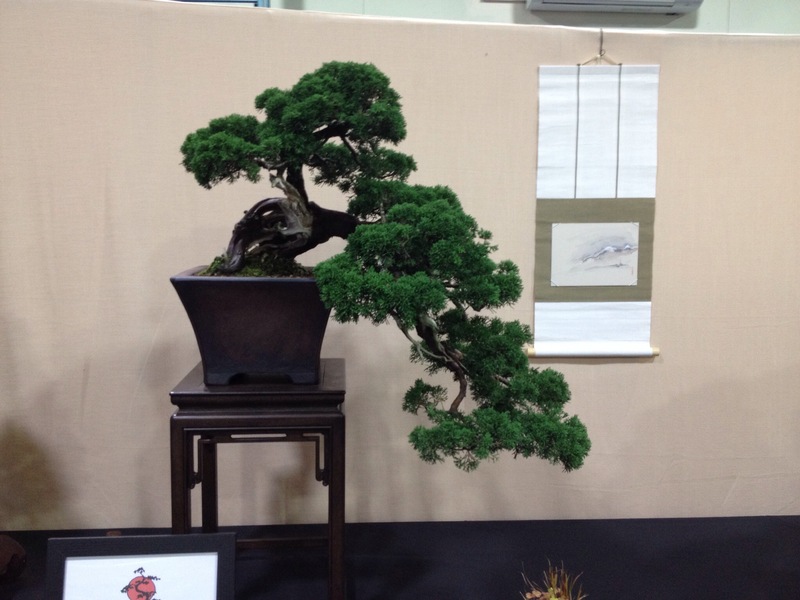 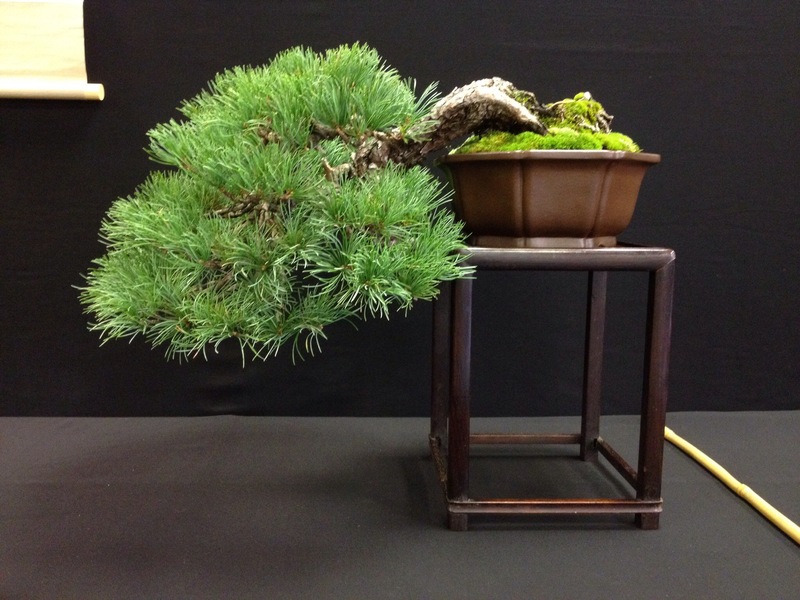 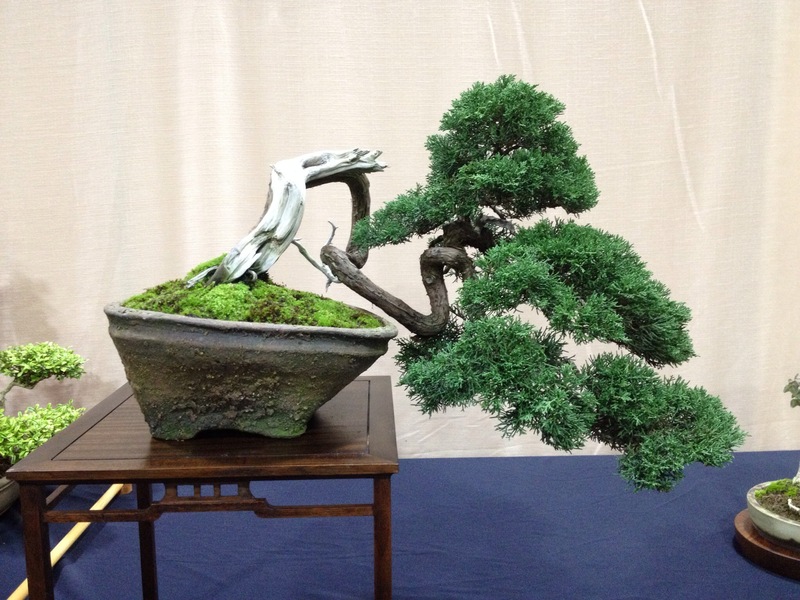 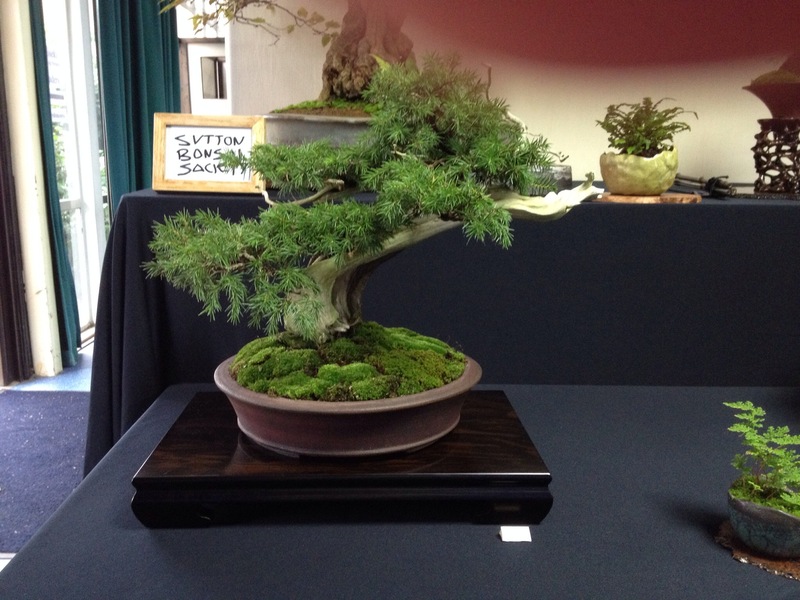 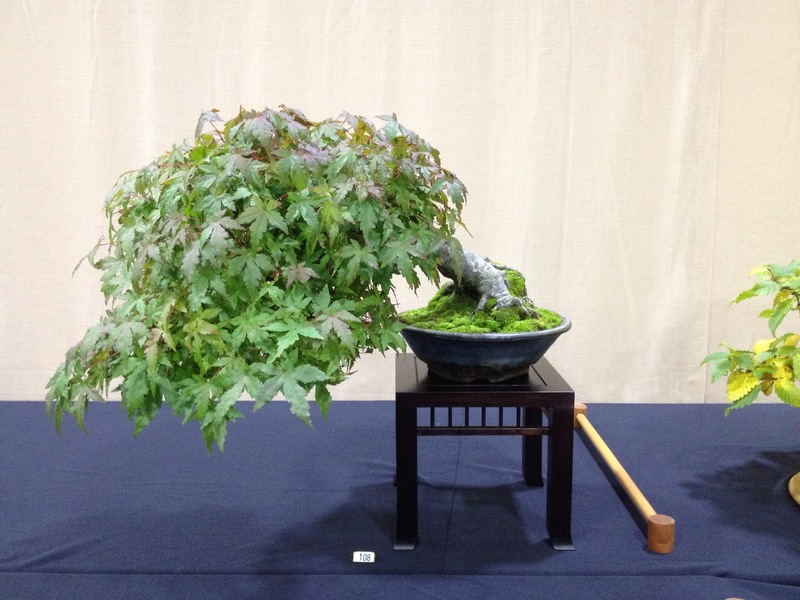 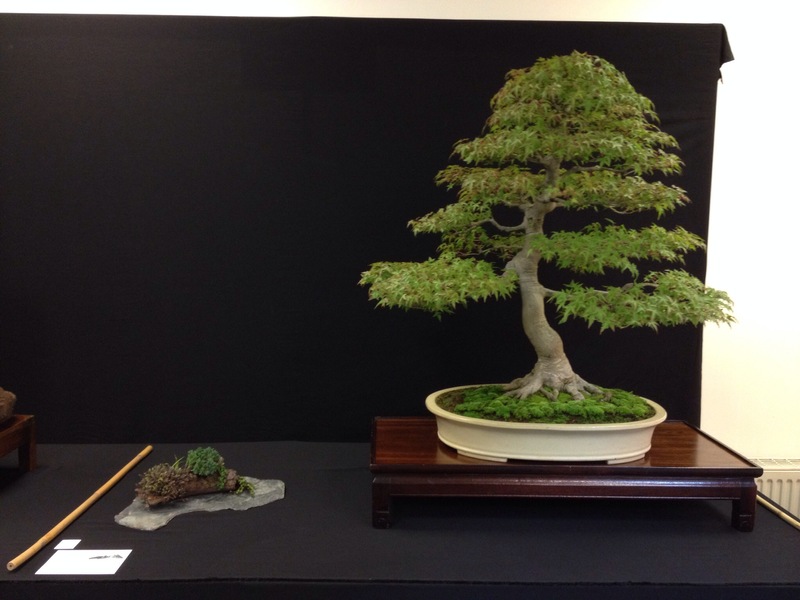 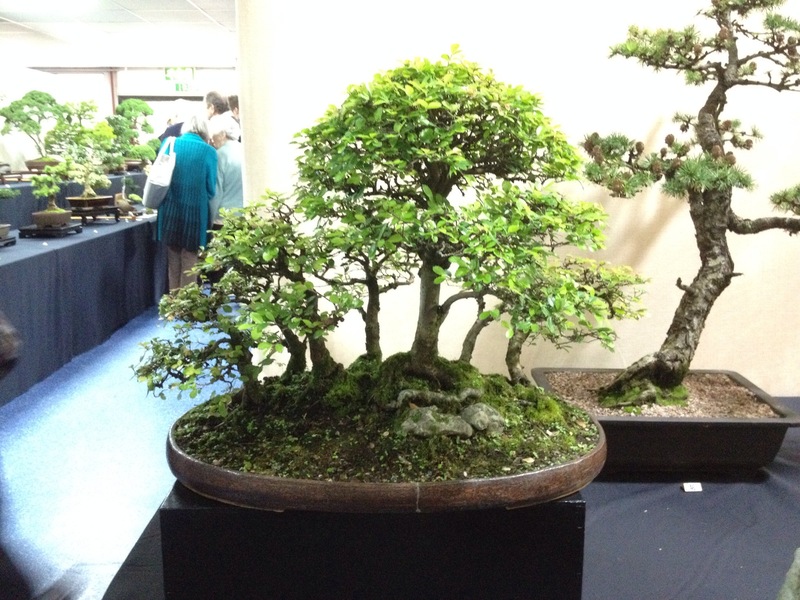 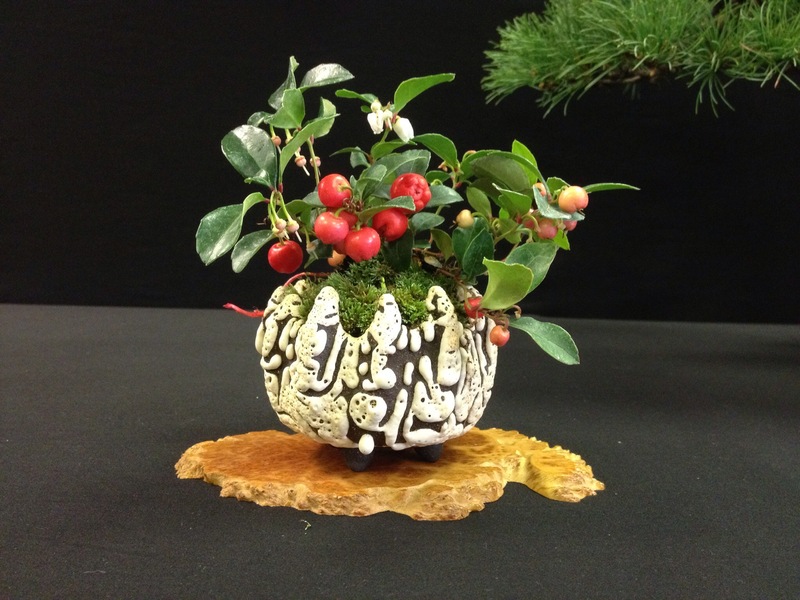 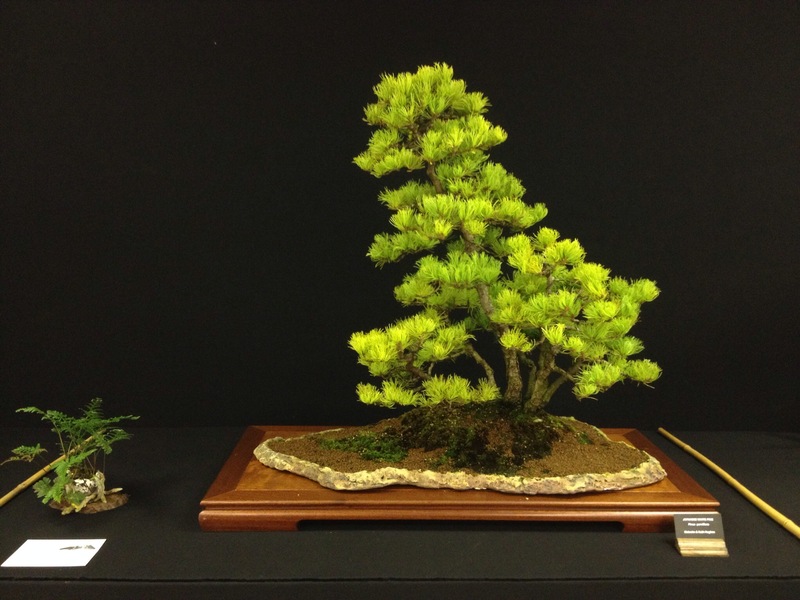 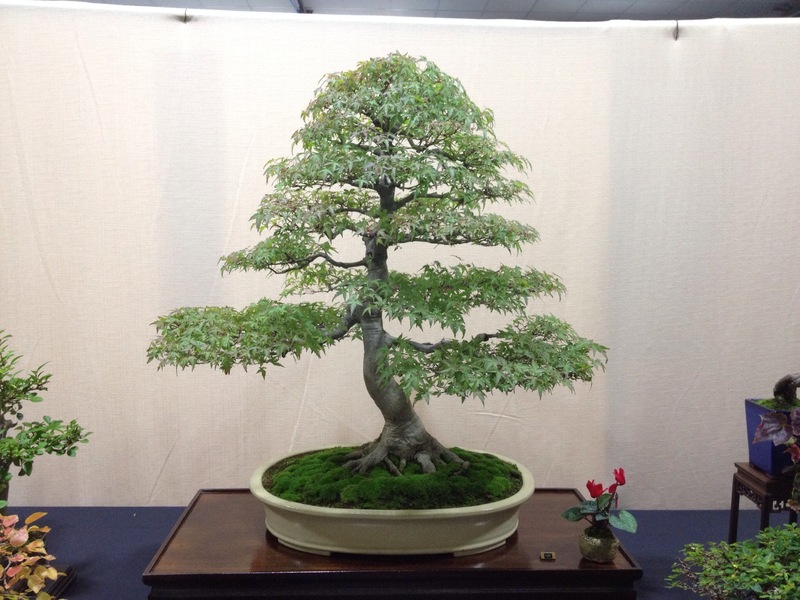 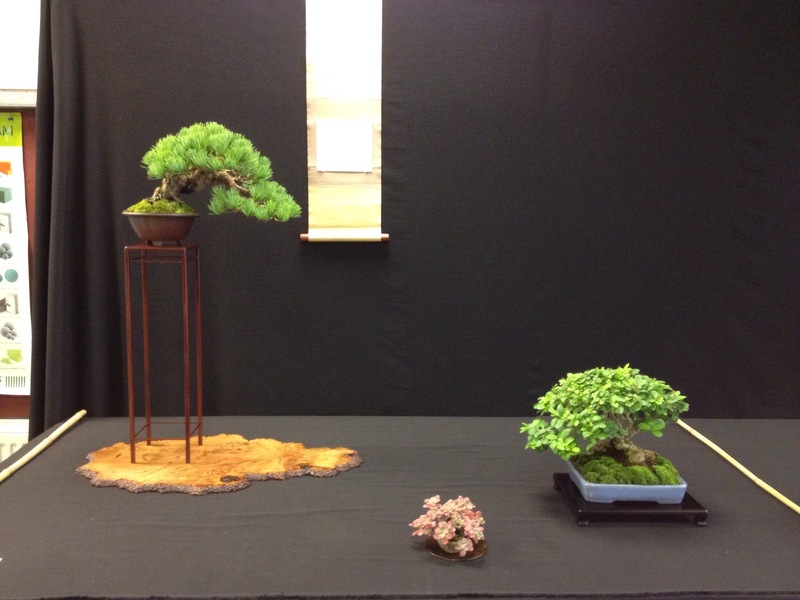 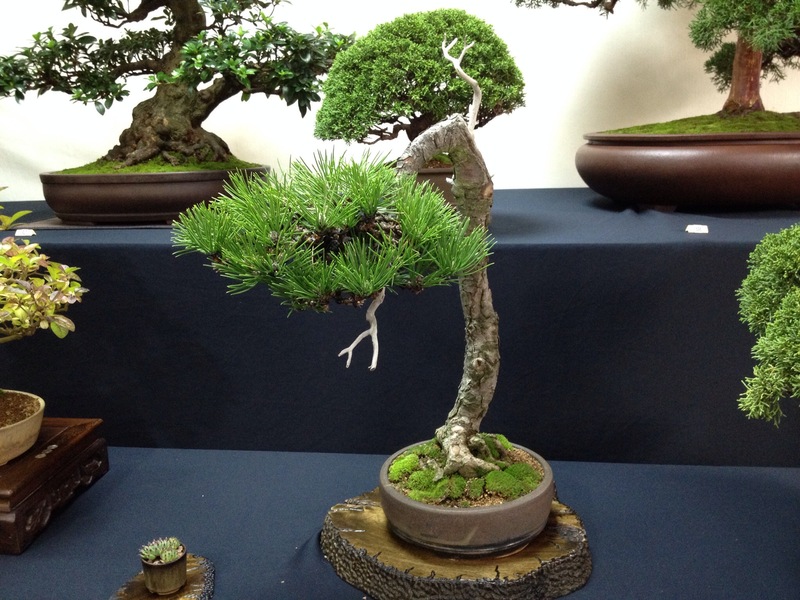 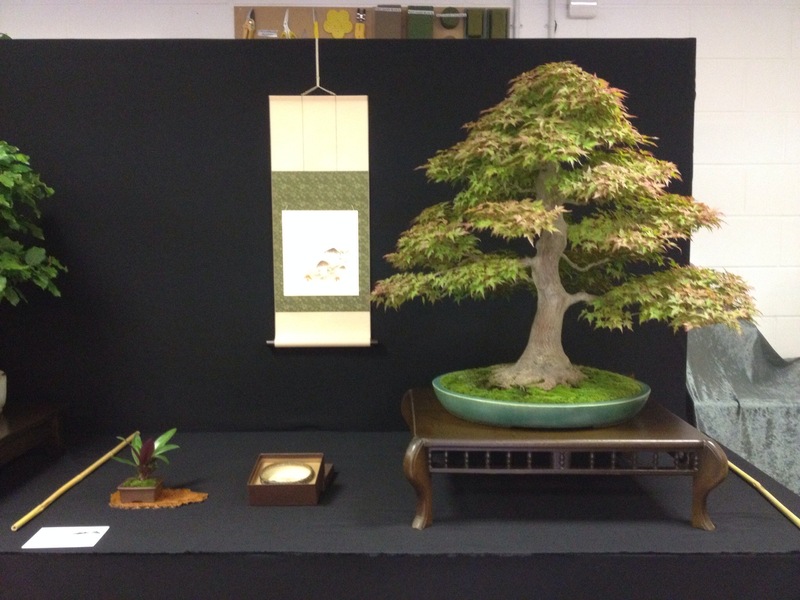 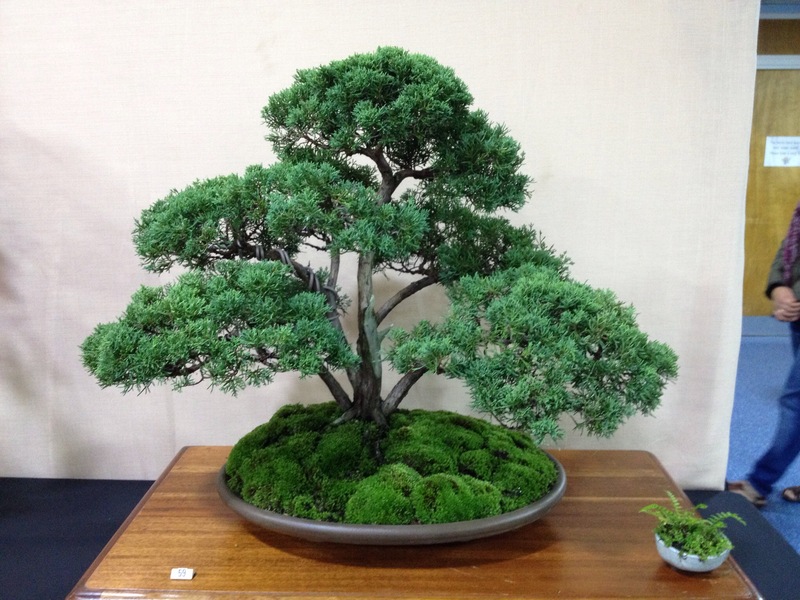 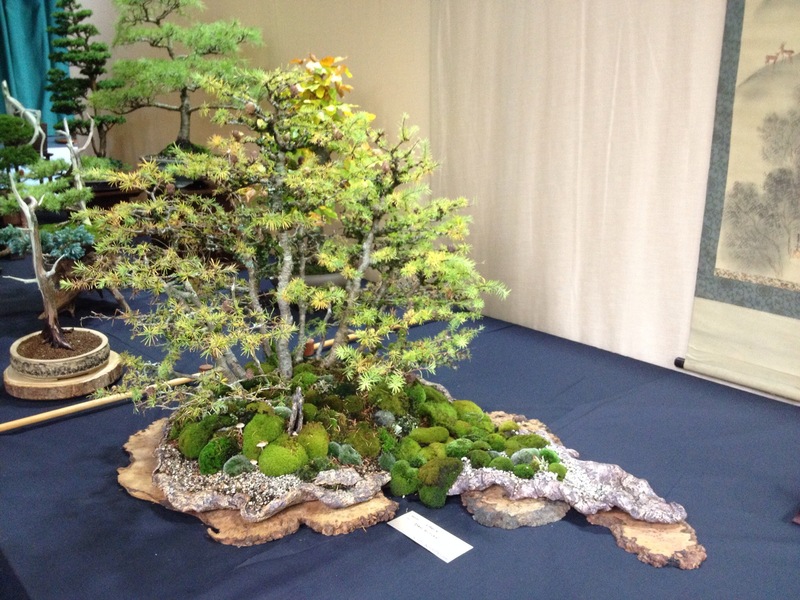 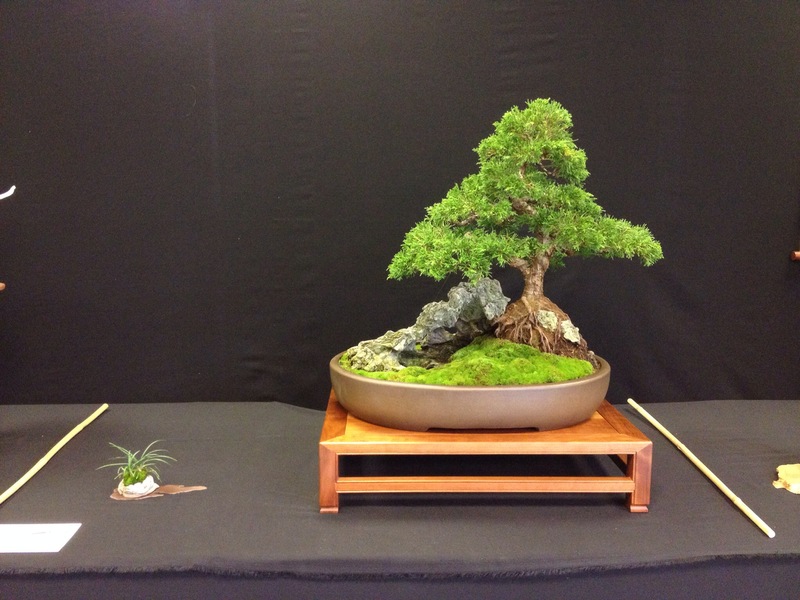 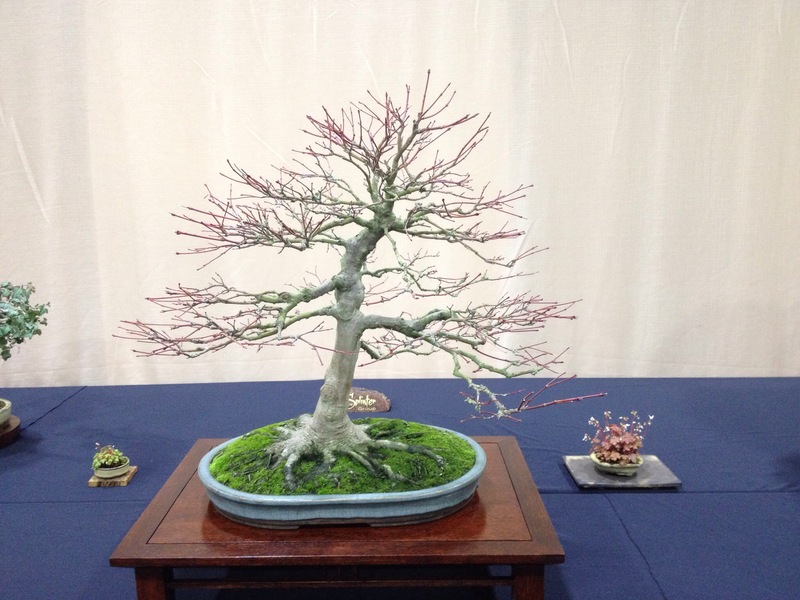 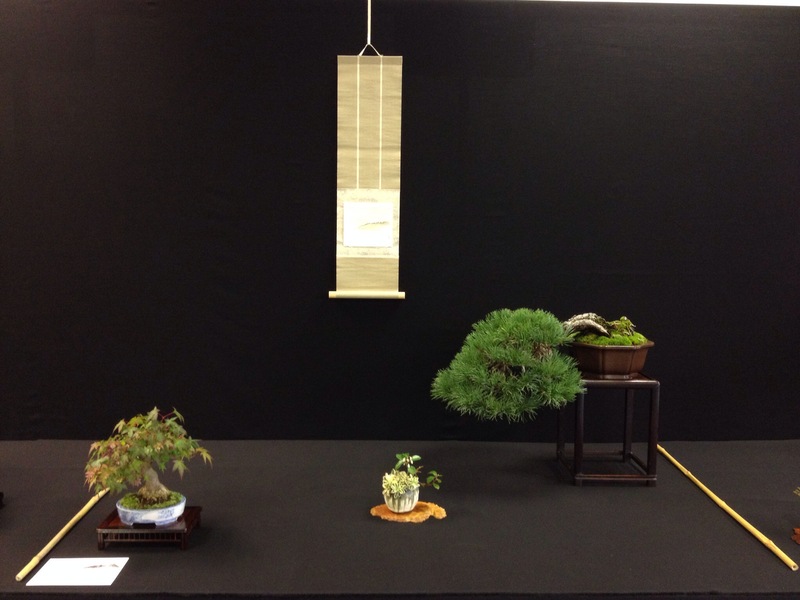 Today was the Capel manor bonsai show, with a good turn out and a very high standard on show it was a great show. 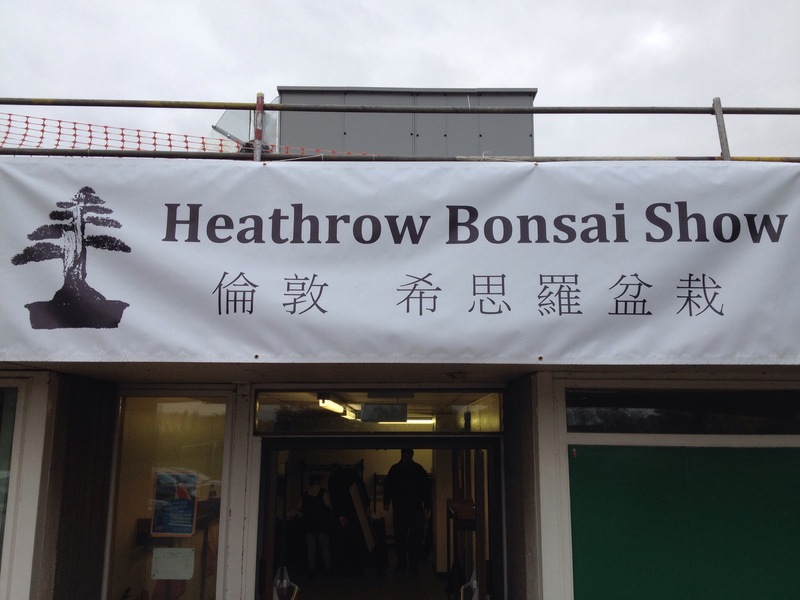 I changed the accent at lunchtime second one was good but a bit big. 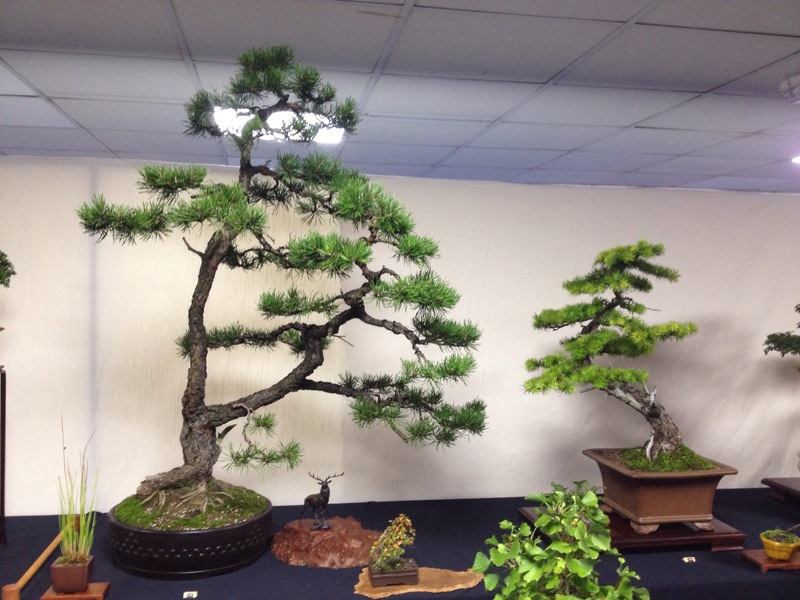 Great day good company and some superb trees. 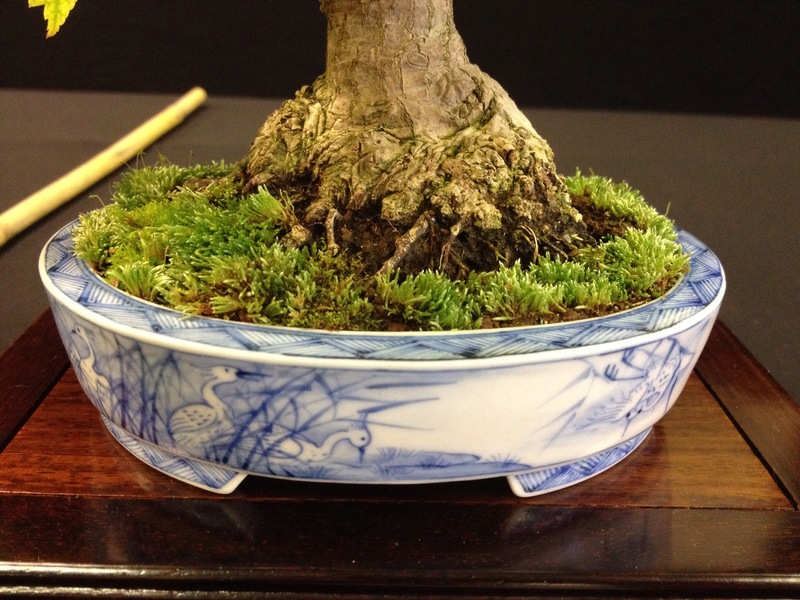 A Good friend got me this antique stand from Japan a month ago, it needed a good tidy up and clean. 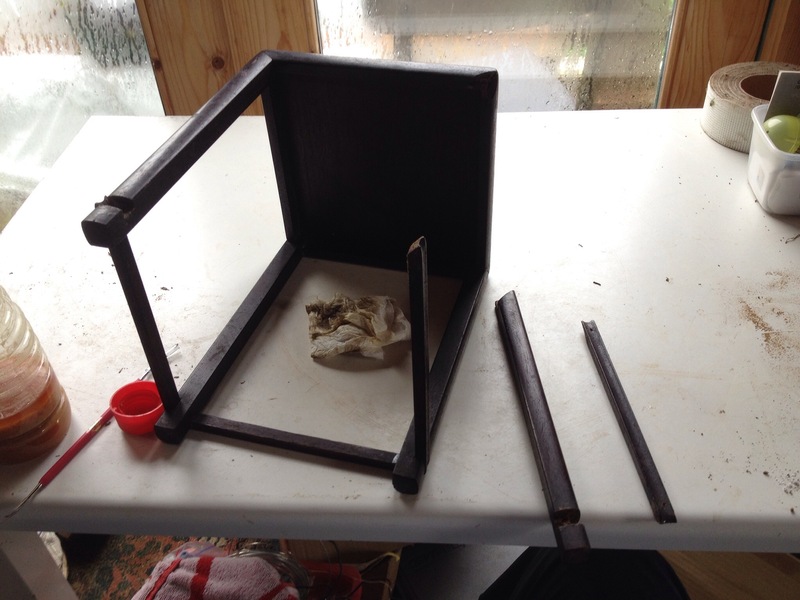 It started well with allot of gunk coming off, but when I thought a joint was a bit out of line it just seemed to end up in bits. 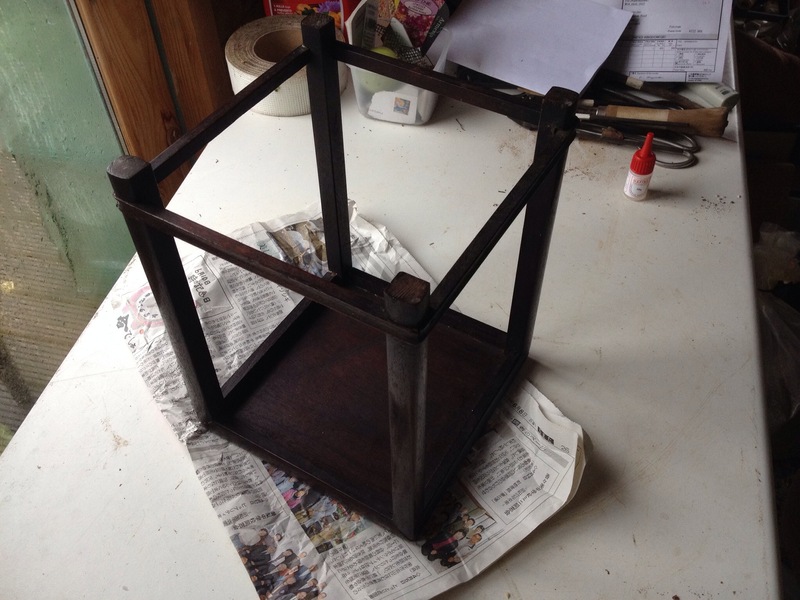 So out with the glue, and having got the joints cleaned up it was back together again. 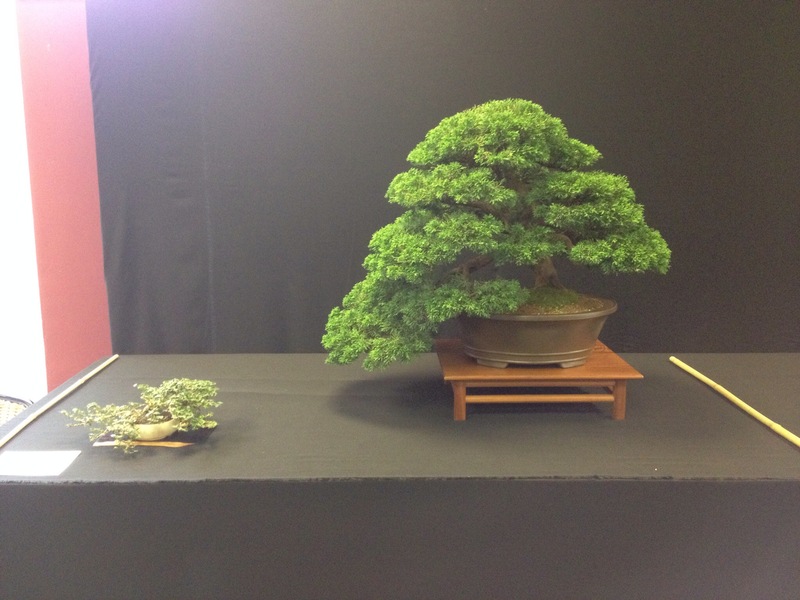 Well if it’s strong enough (from my repair) then I hope to use it Sunday at the Capel manor bonsai show. 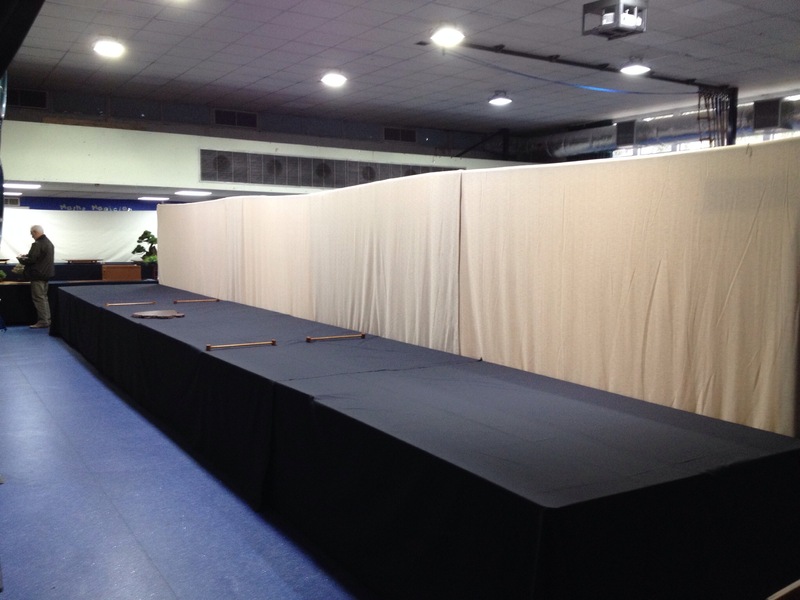 You will have to wait to see the finished result.